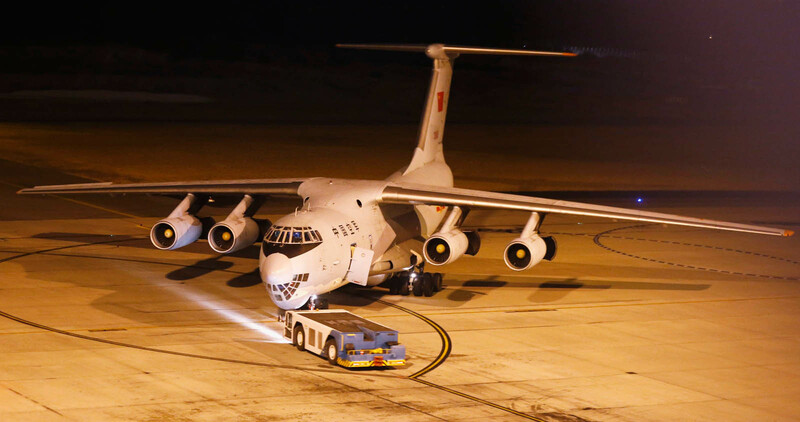 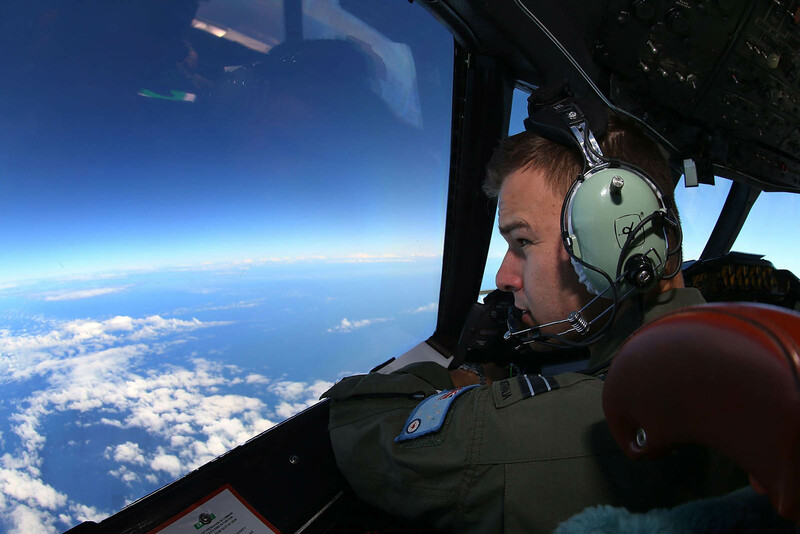 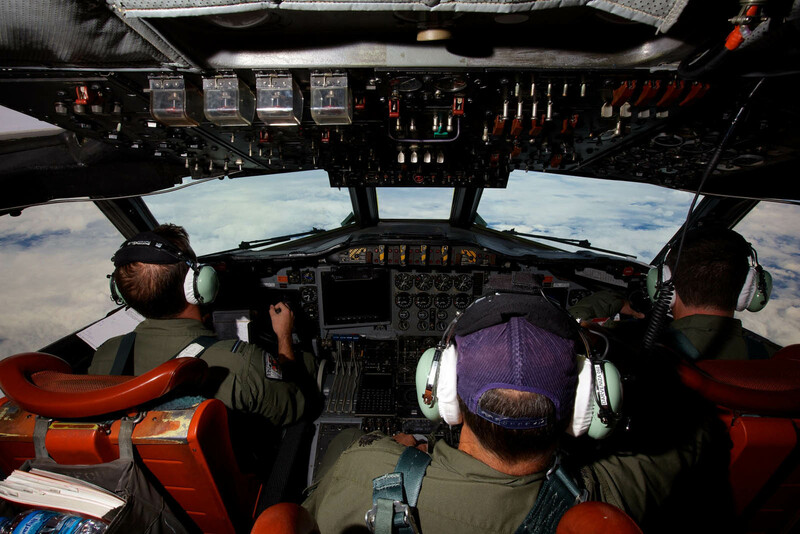 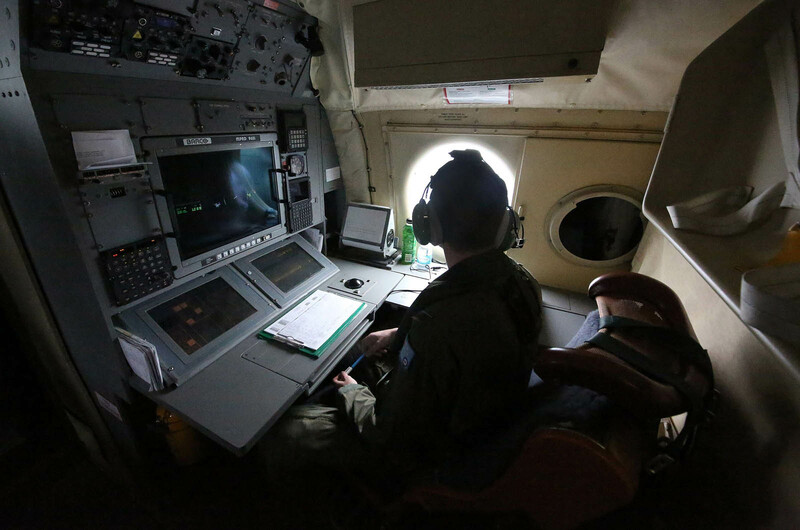 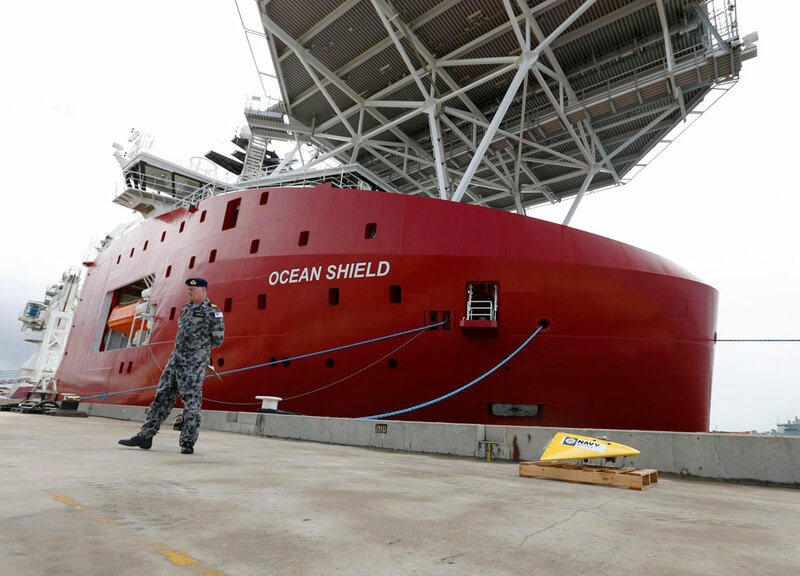 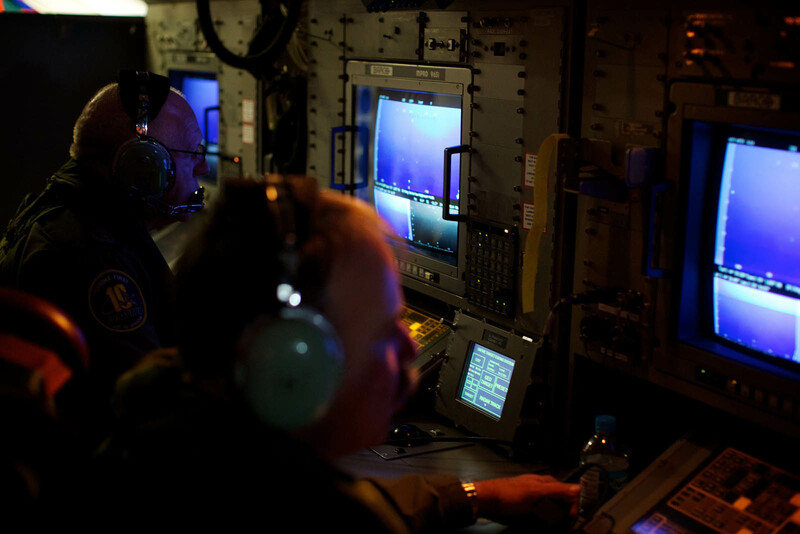 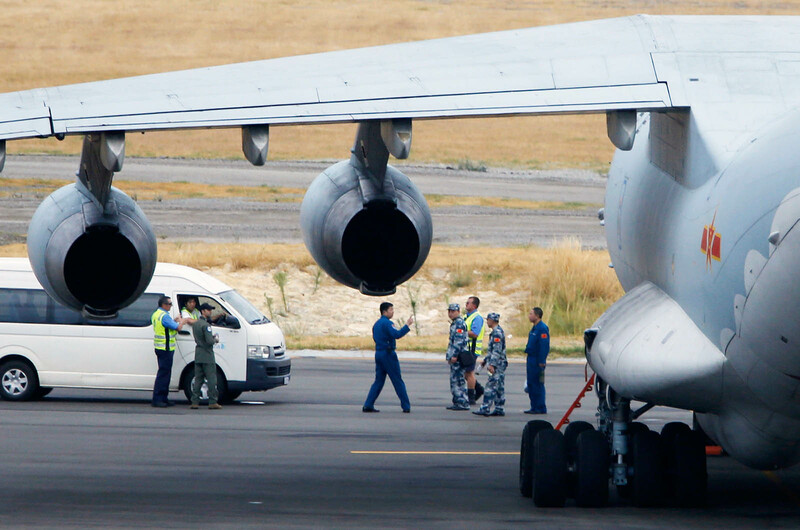 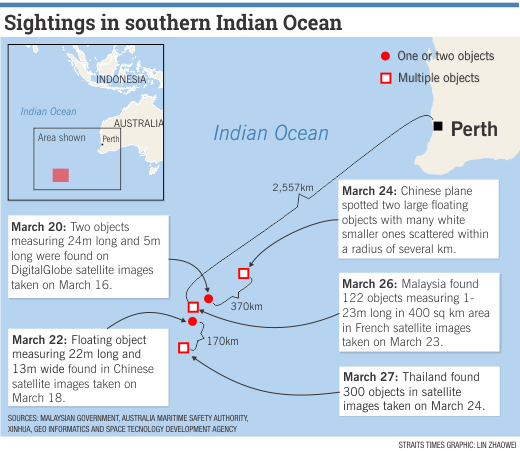 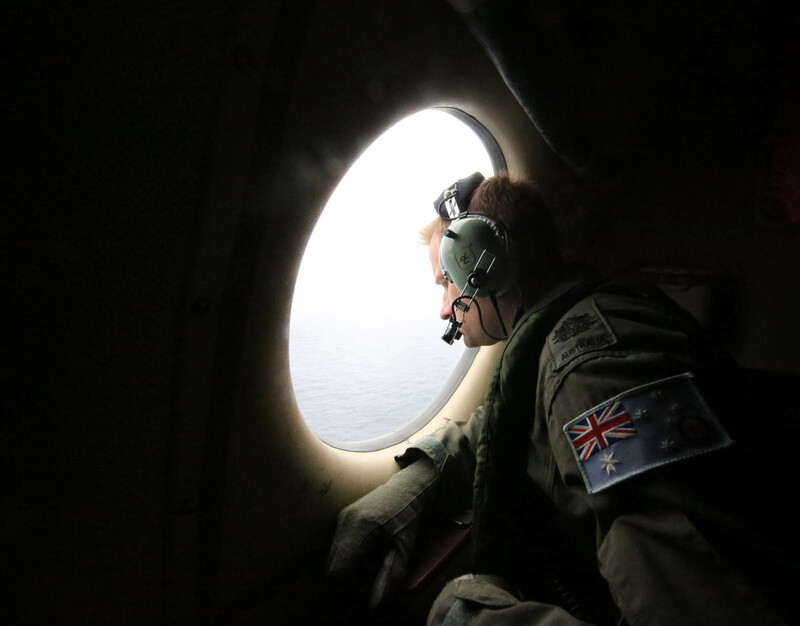 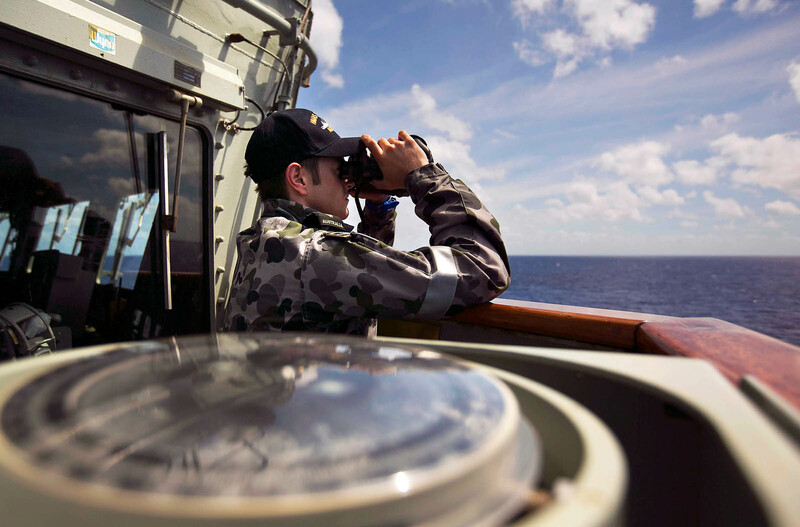 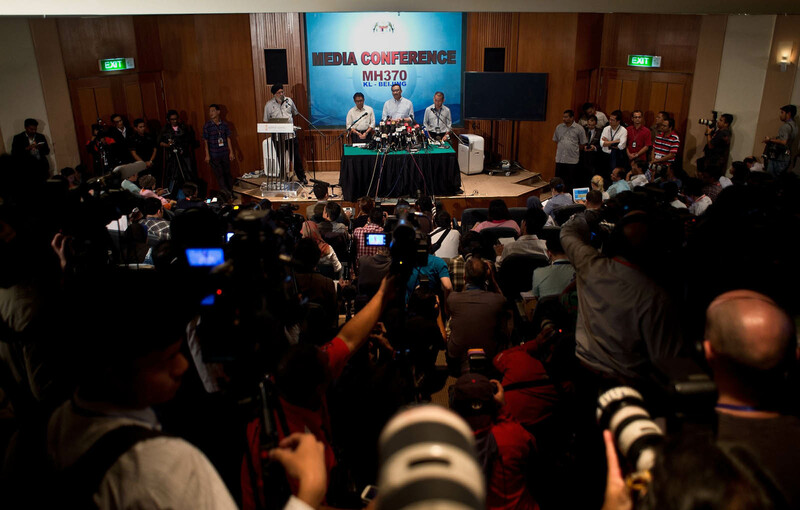 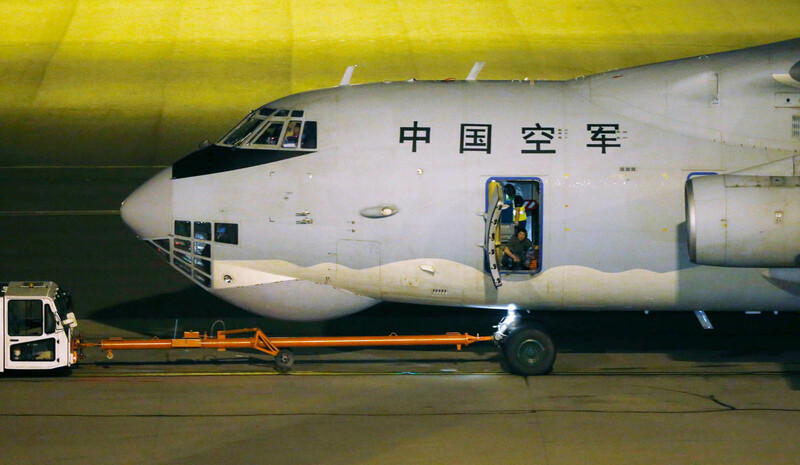 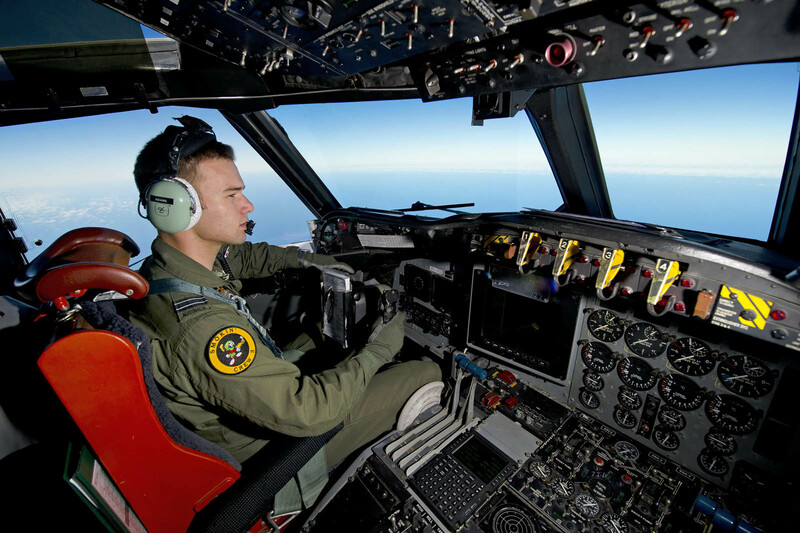 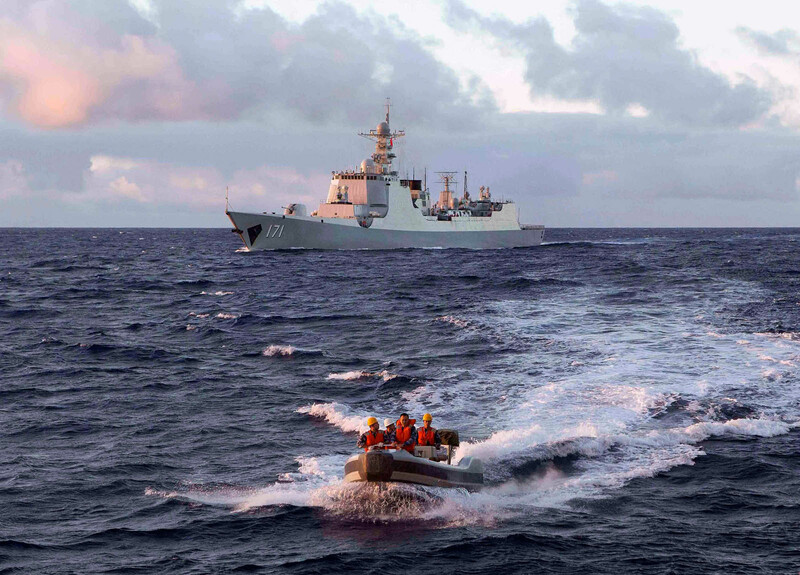 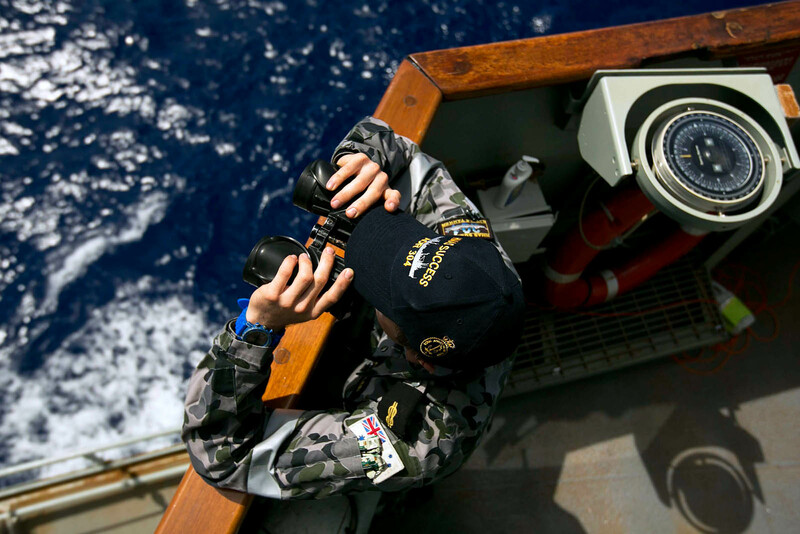 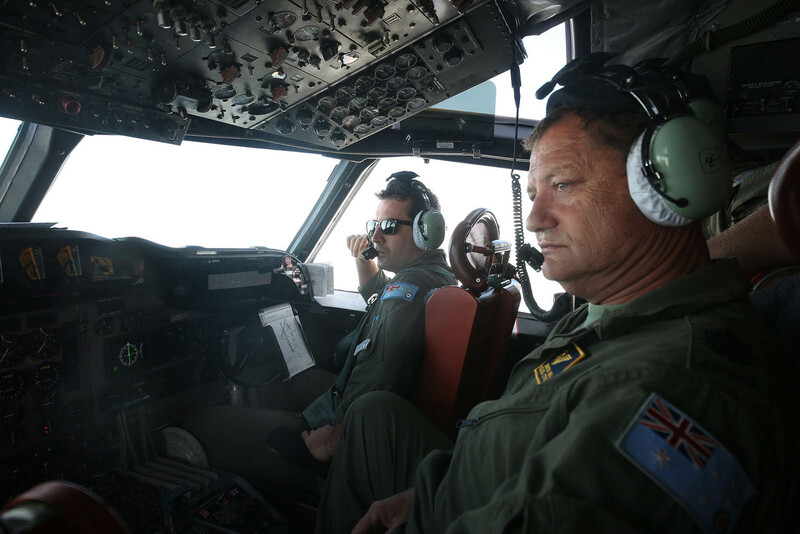 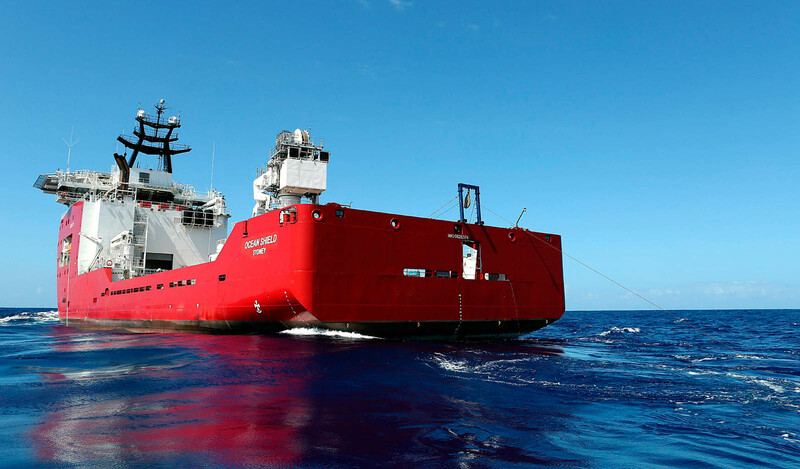 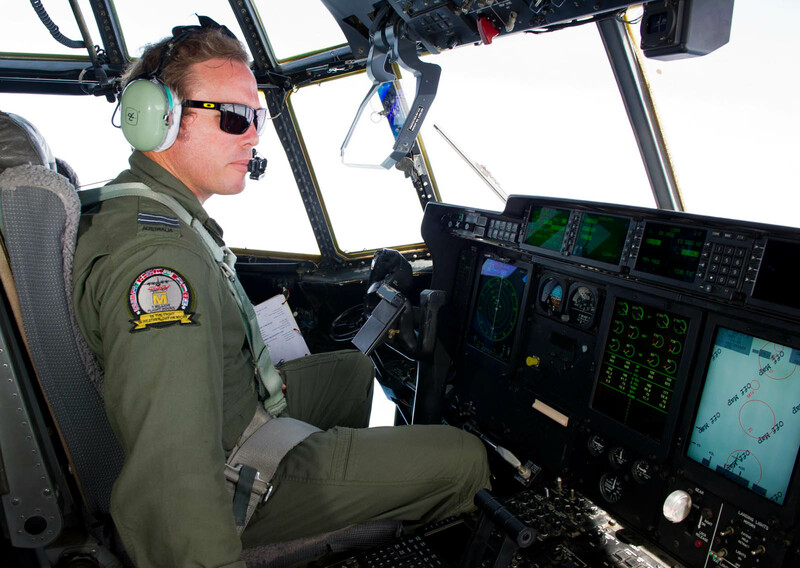 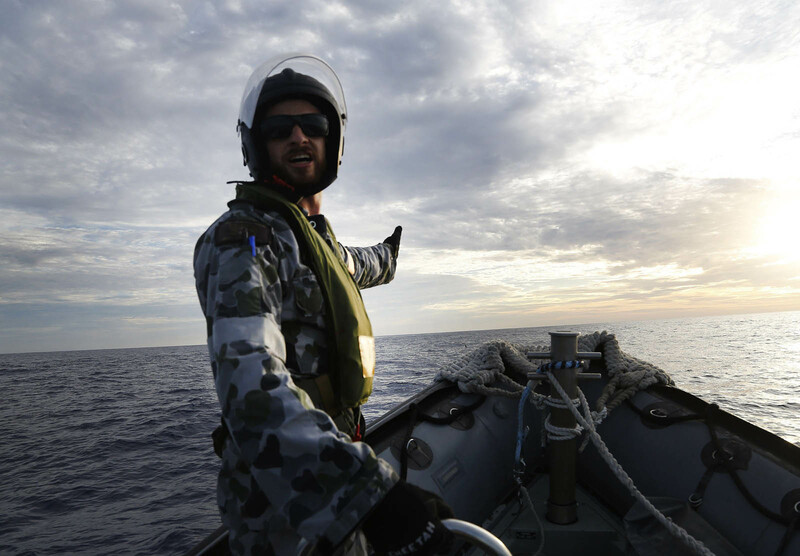 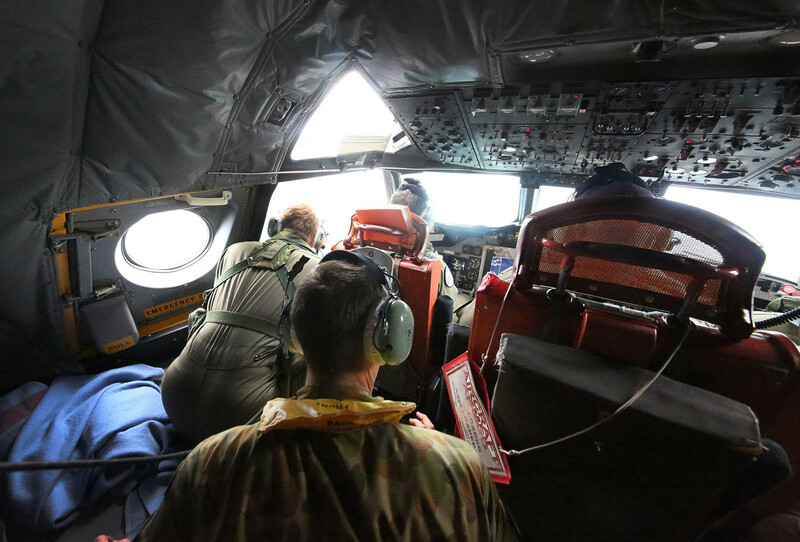 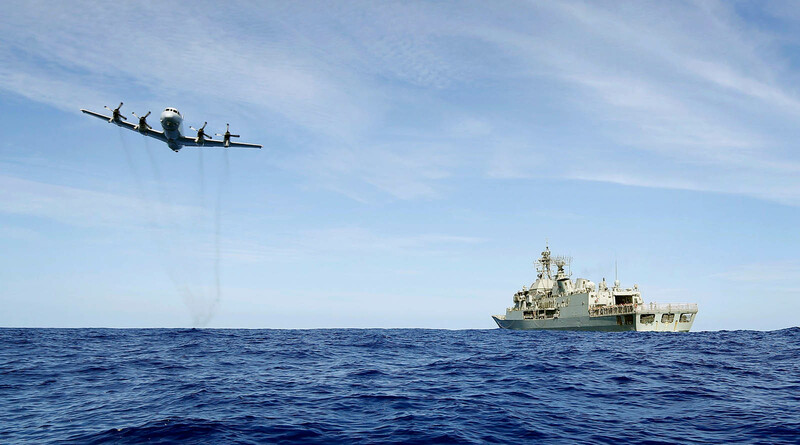 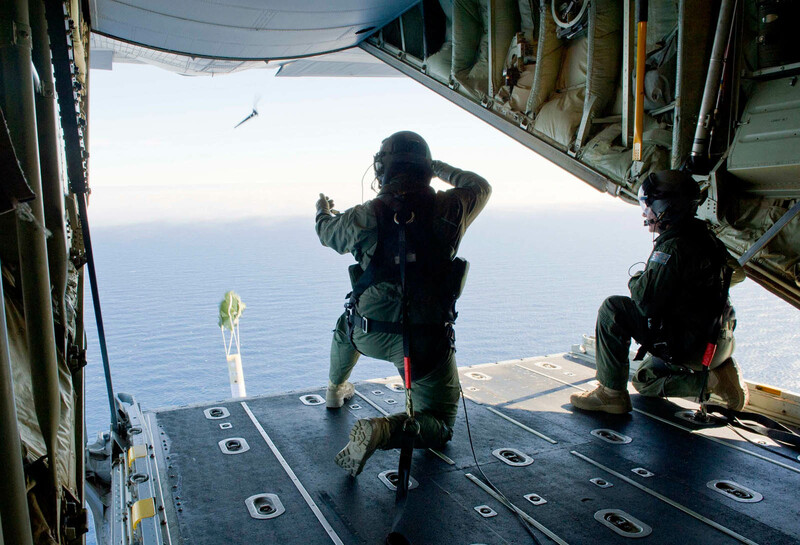 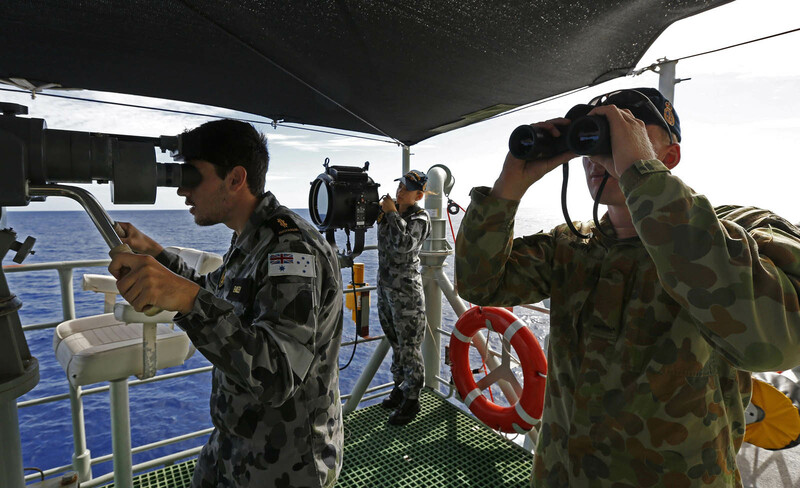 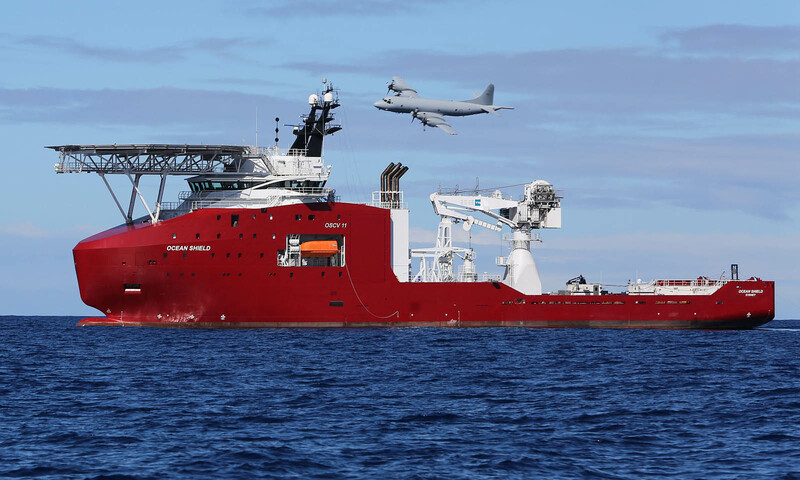 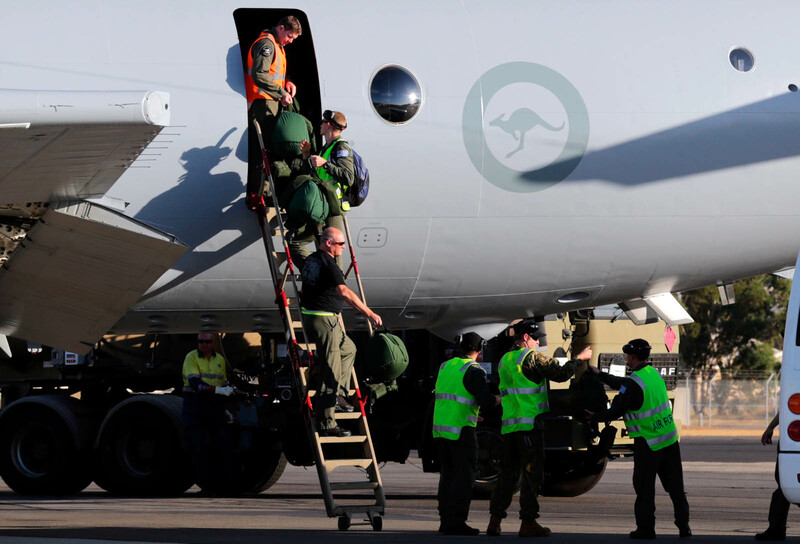 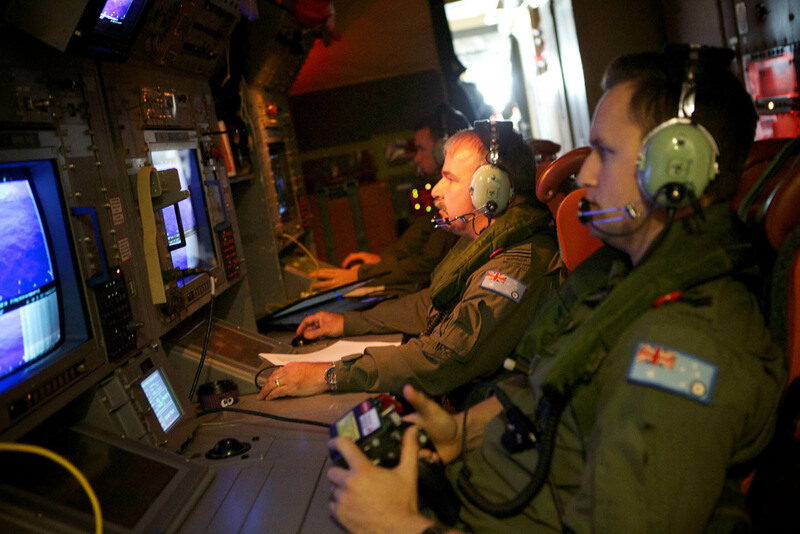 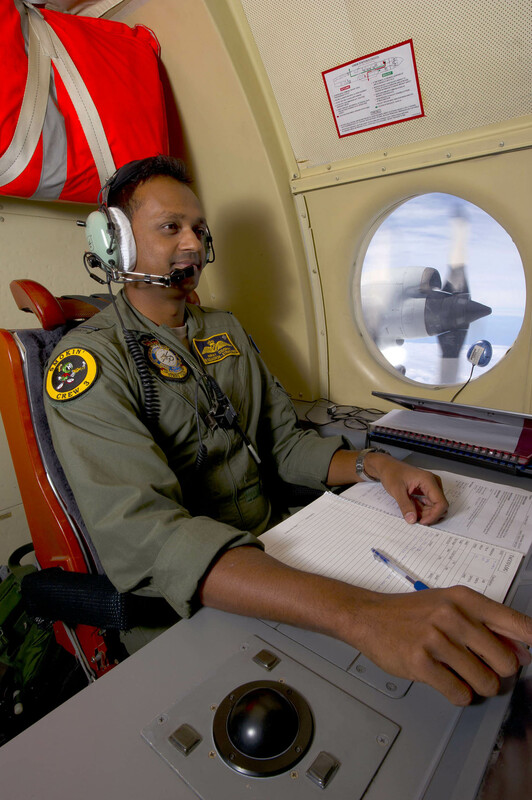 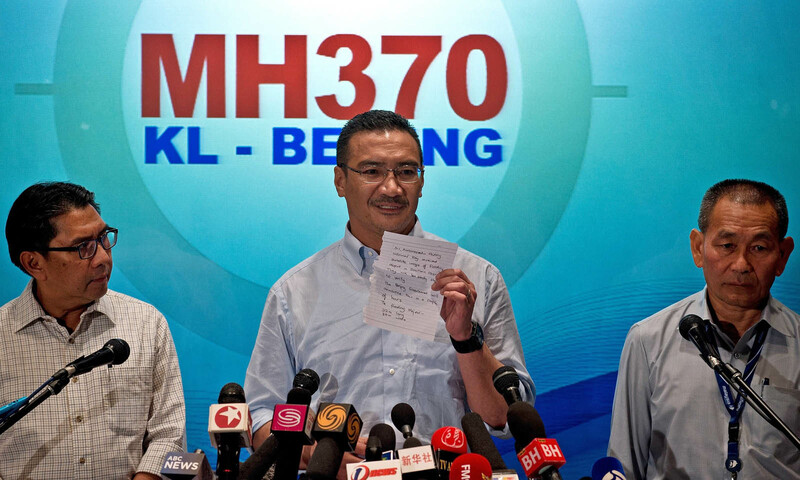 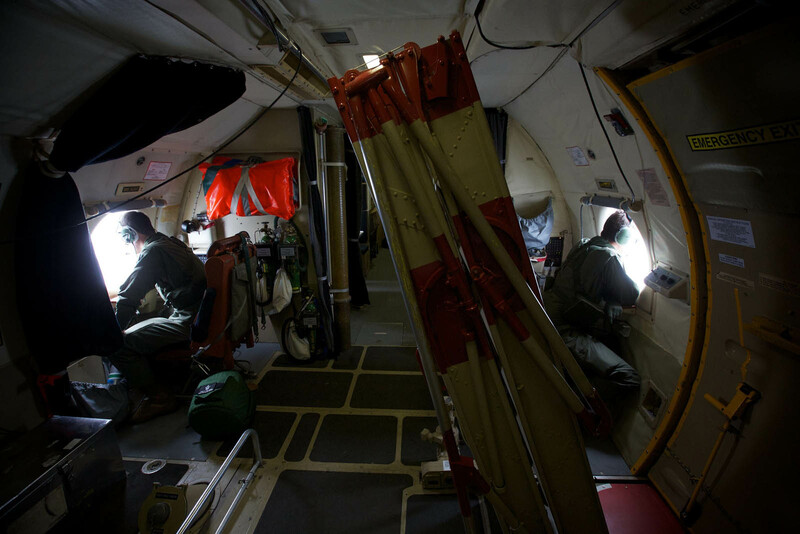 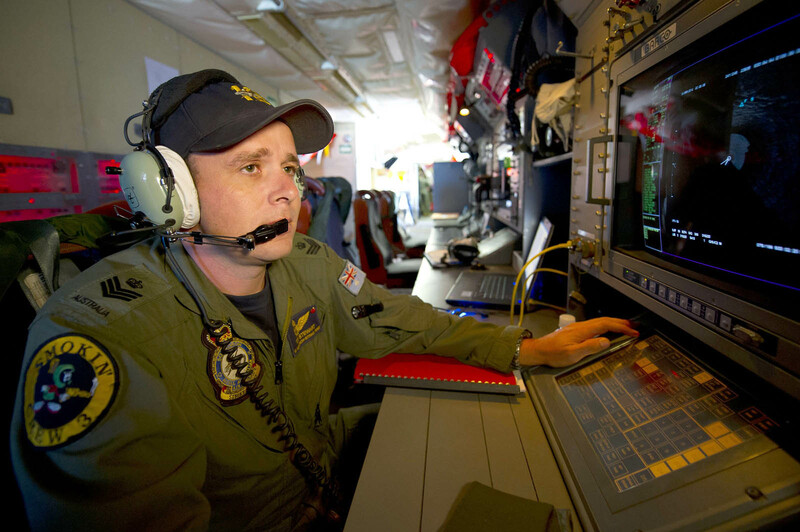 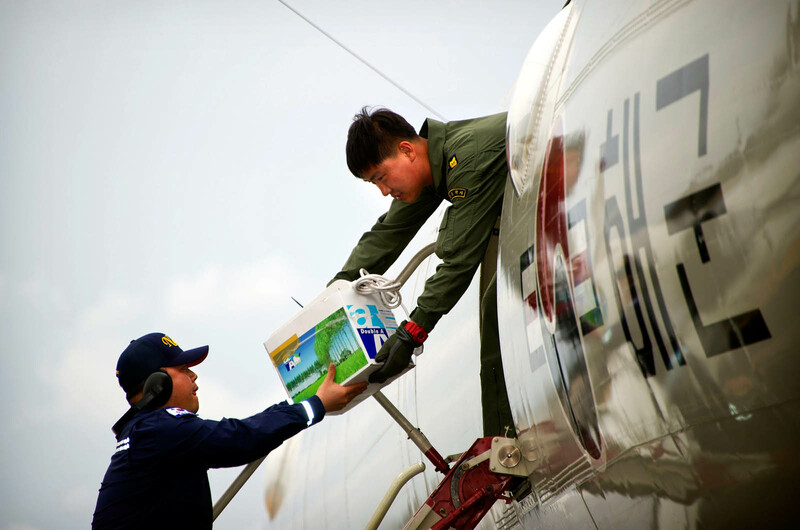 CANBERRA - Australian authorities searching for Malaysia Airlines Flight MH370 denied their fruitless scouring of the southern Indian Ocean had been a waste of time on Friday, as they shifted to a new search area. 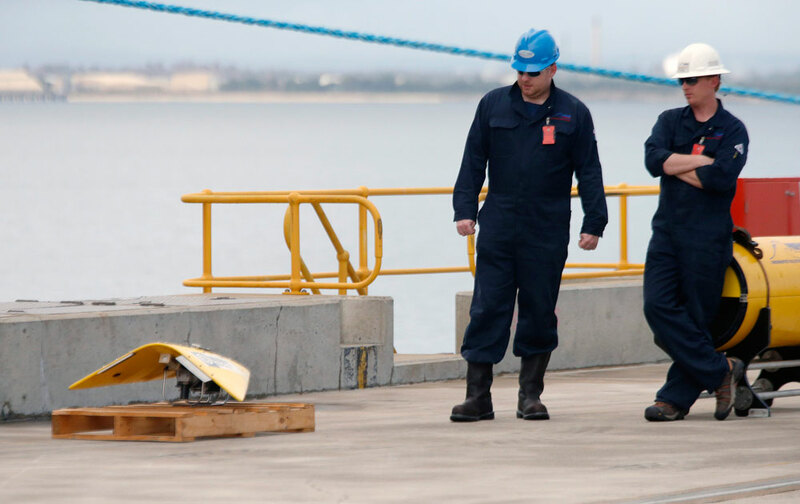 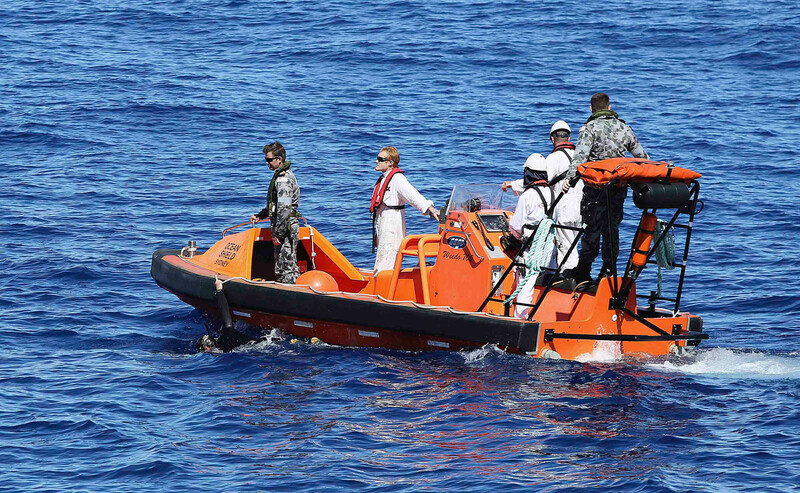 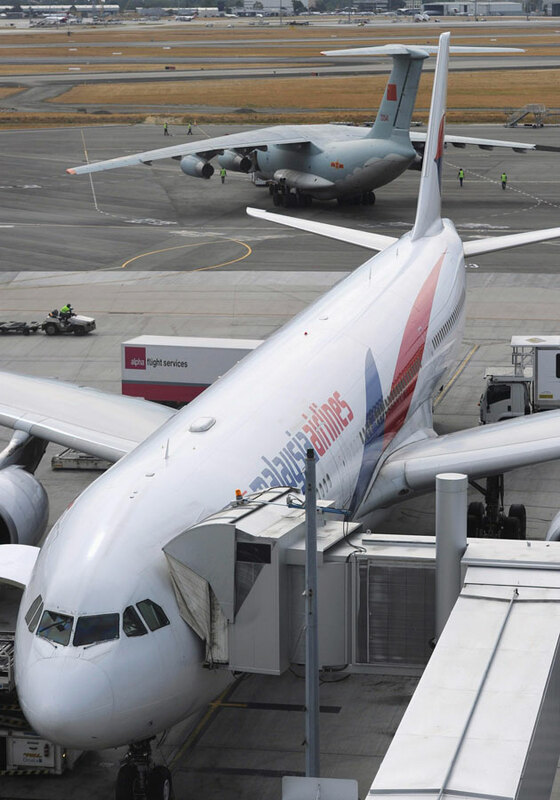 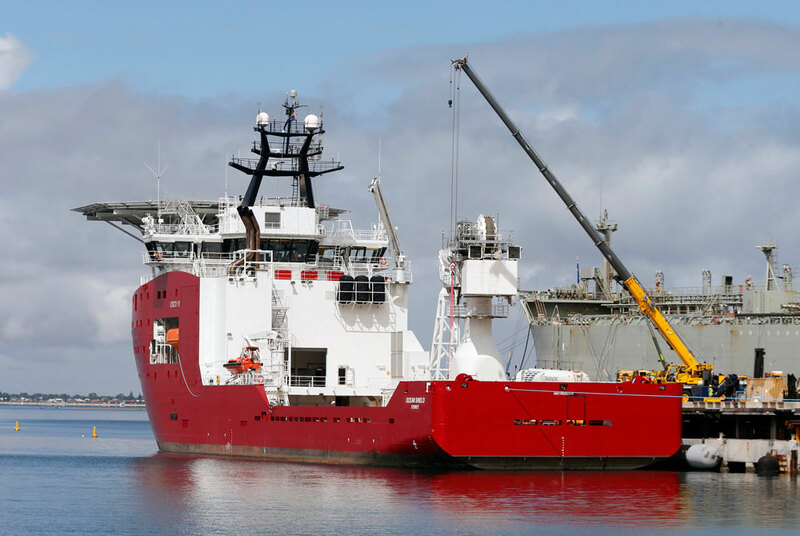 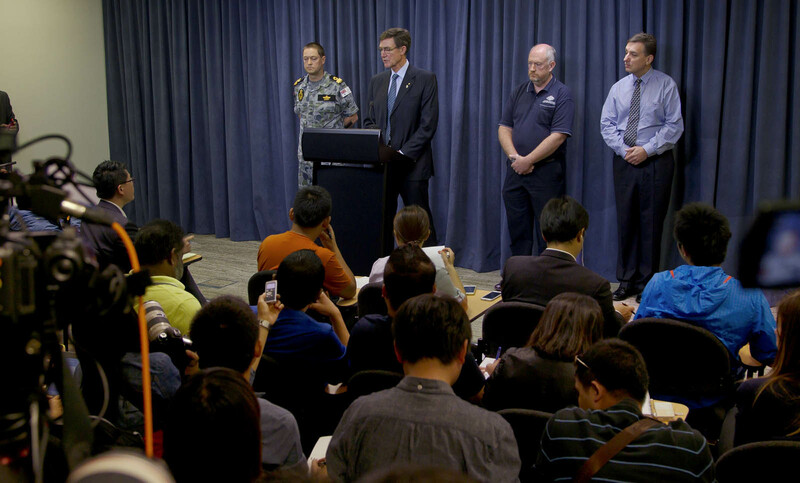 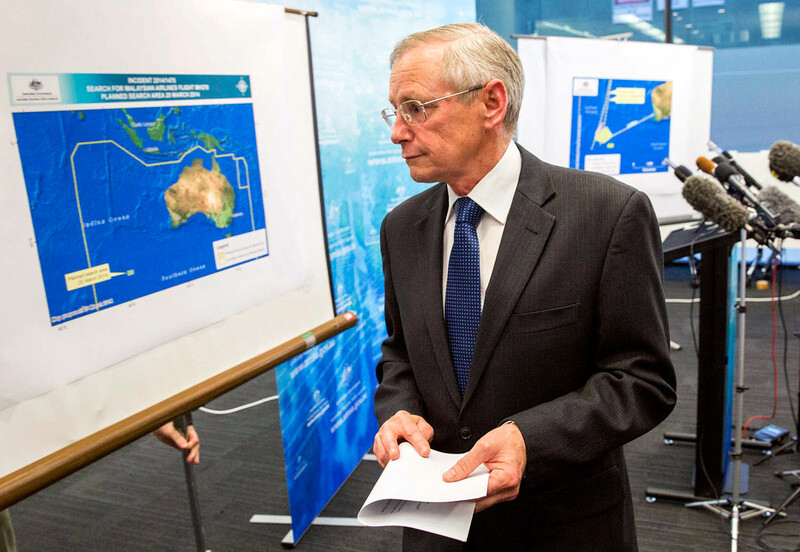 The Australian Maritime Safety Authority (AMSA) has been coordinating an international hunt for the missing Boeing 777 in hostile waters some 2,500km southwest of Perth for 11 days. 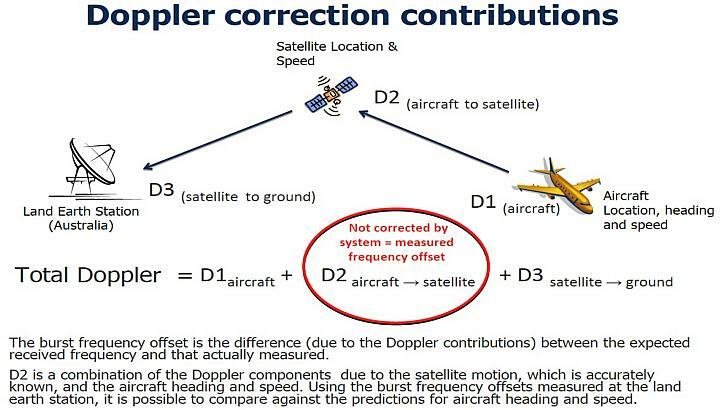 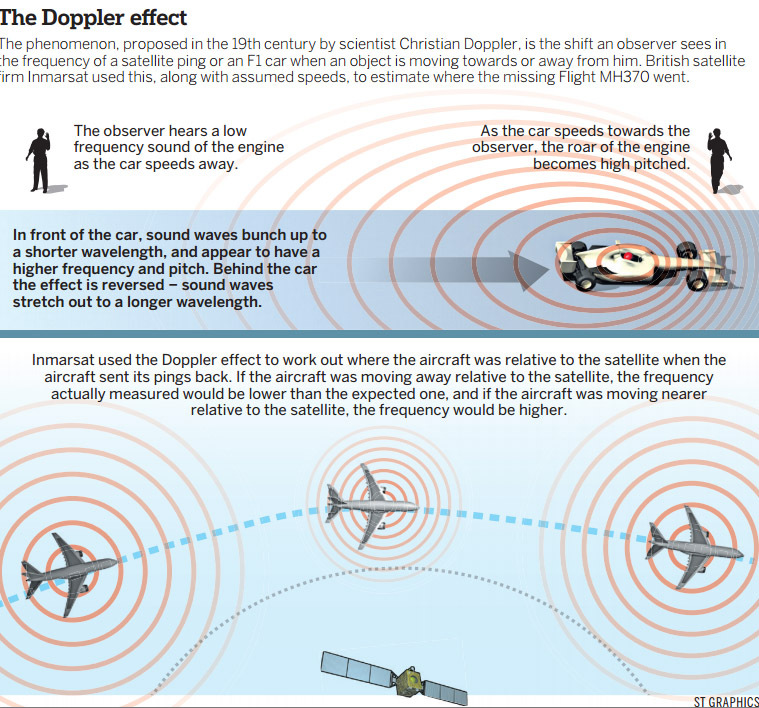 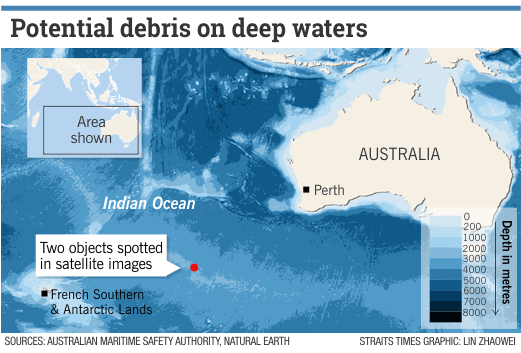 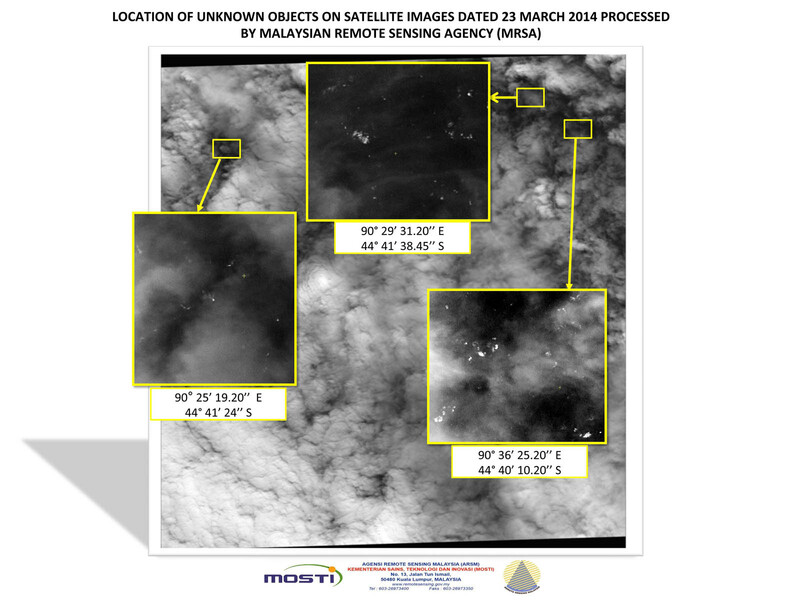 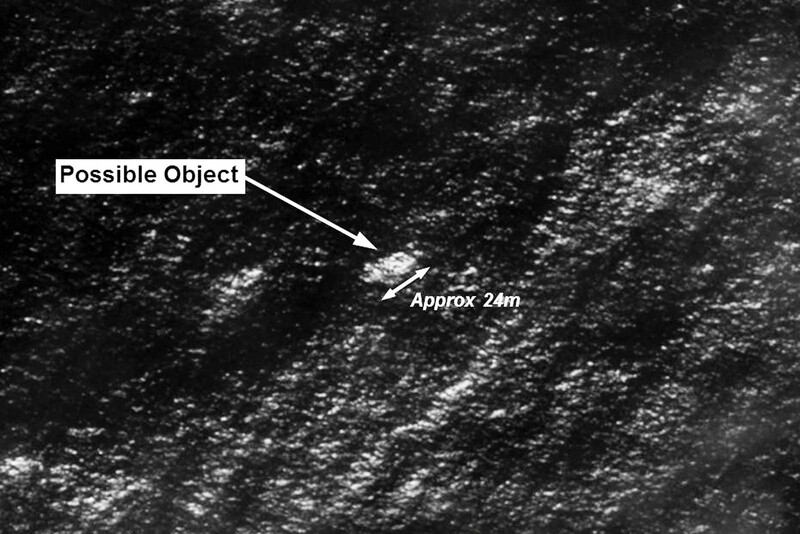 But no debris has been found and new analysis of radar and satellite data identified an area nearer to land and further north as the likely crash site. 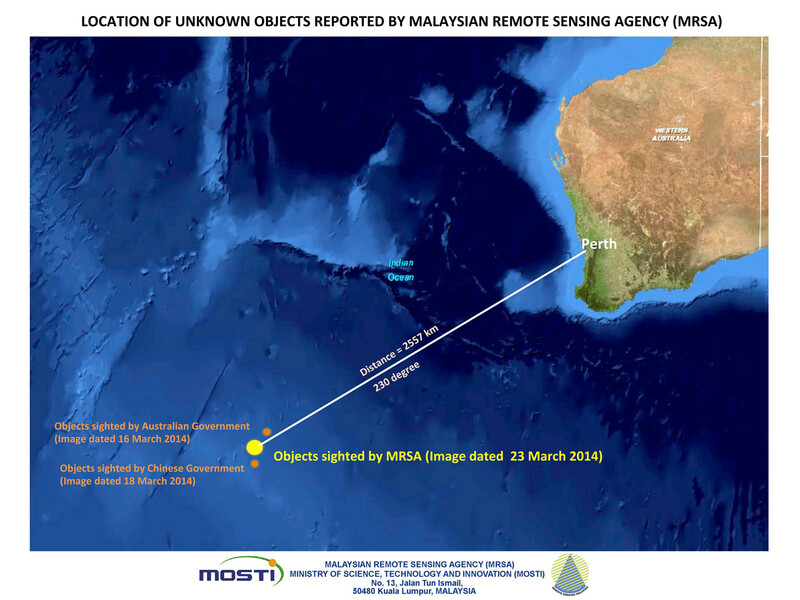 "That is now our best place to go," AMSA chief John Young told reporters in Canberra announcing a new search zone 1,100km northeast of the previous area. 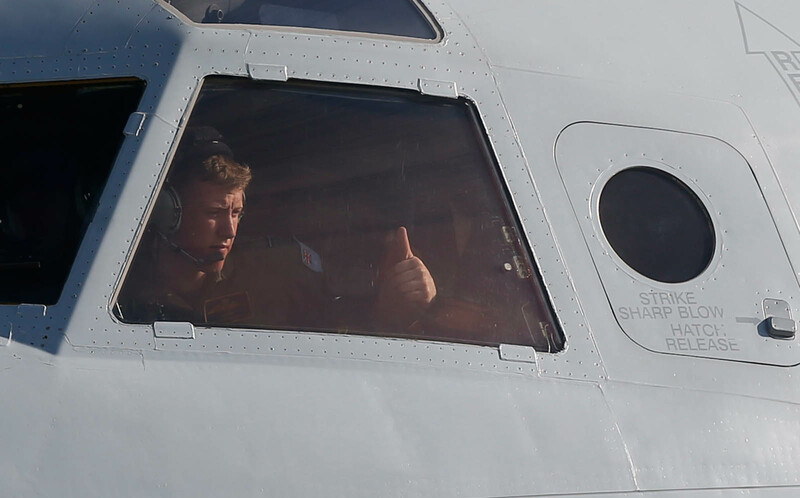 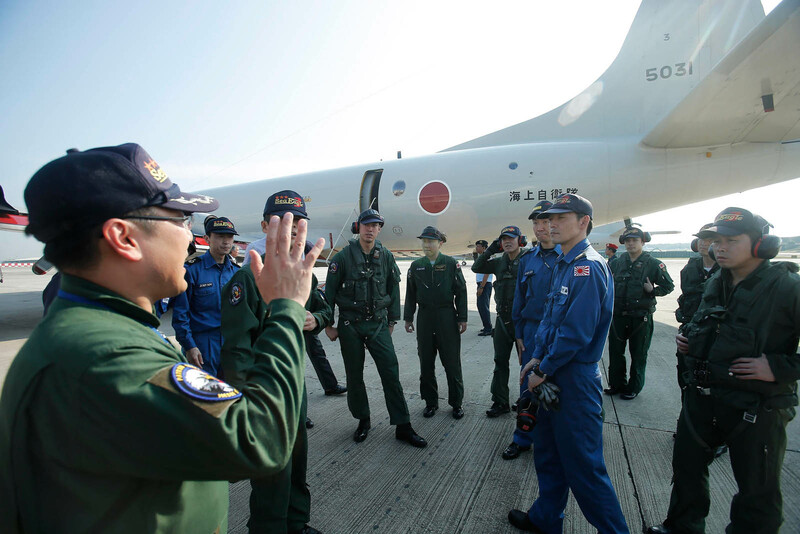 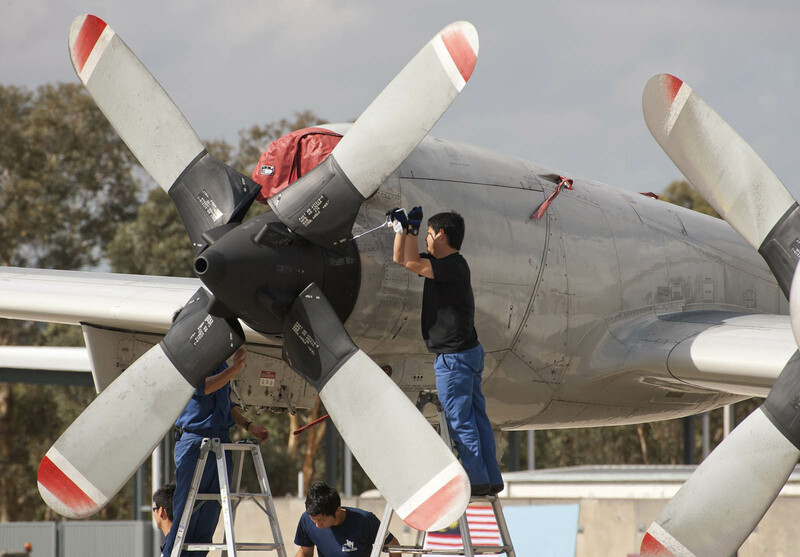 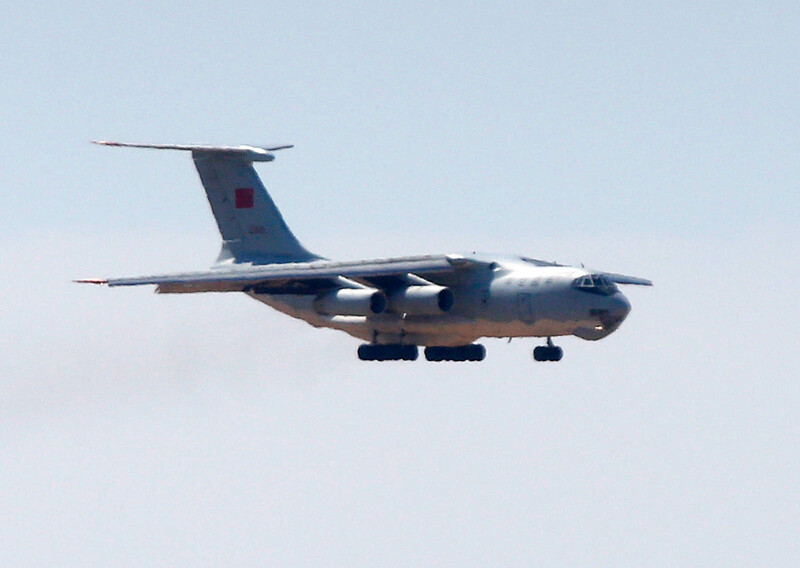 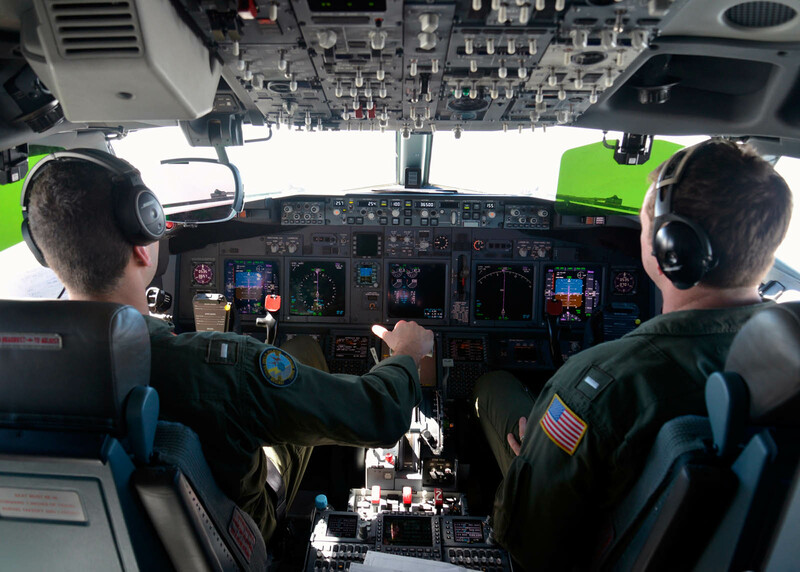 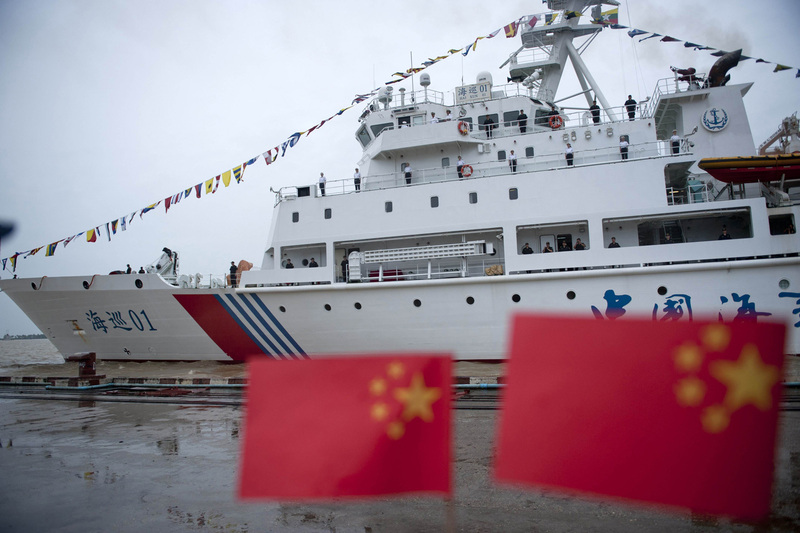 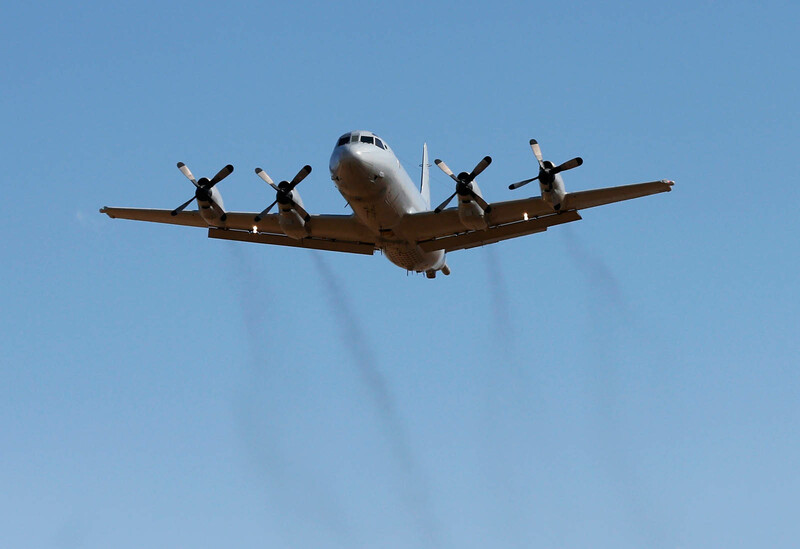 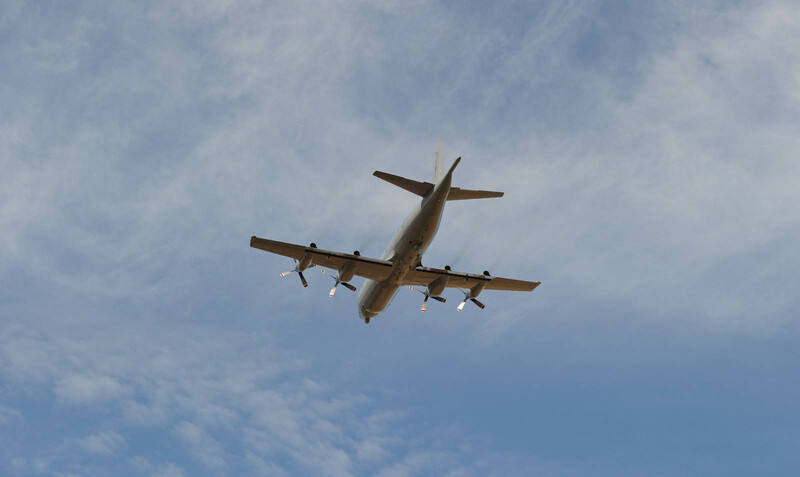 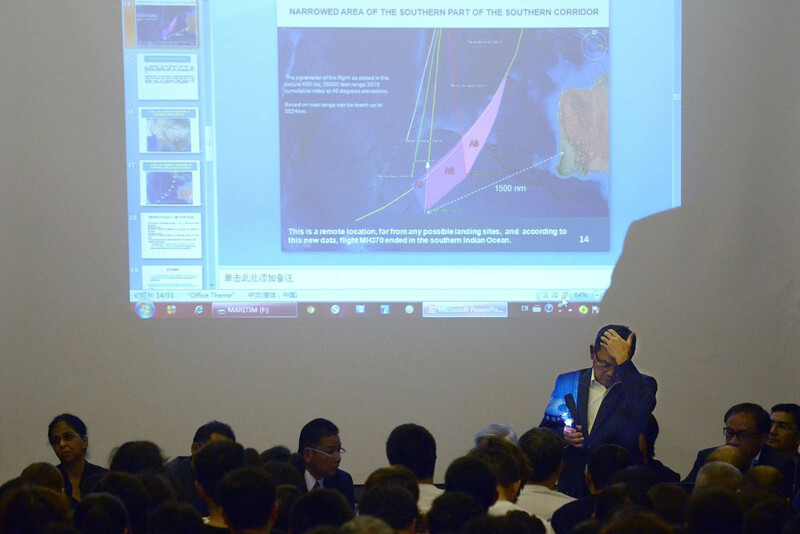 Young said that switching the search area was a normal part of such an operation and did not devalue the sorties already flown by military and commercial planes and journeys made by vessels so far. 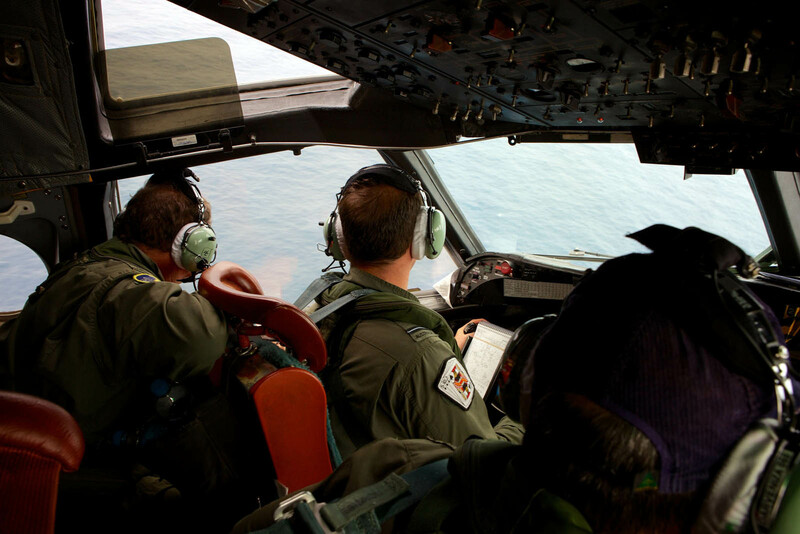 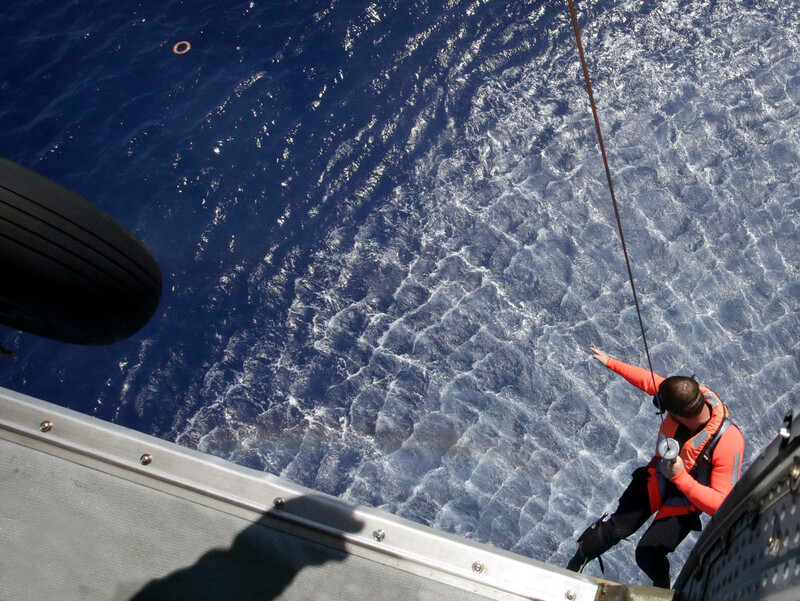 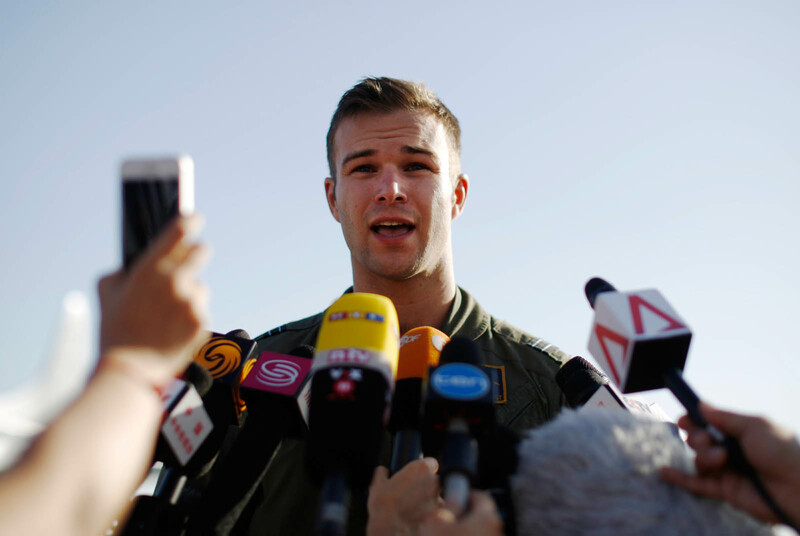 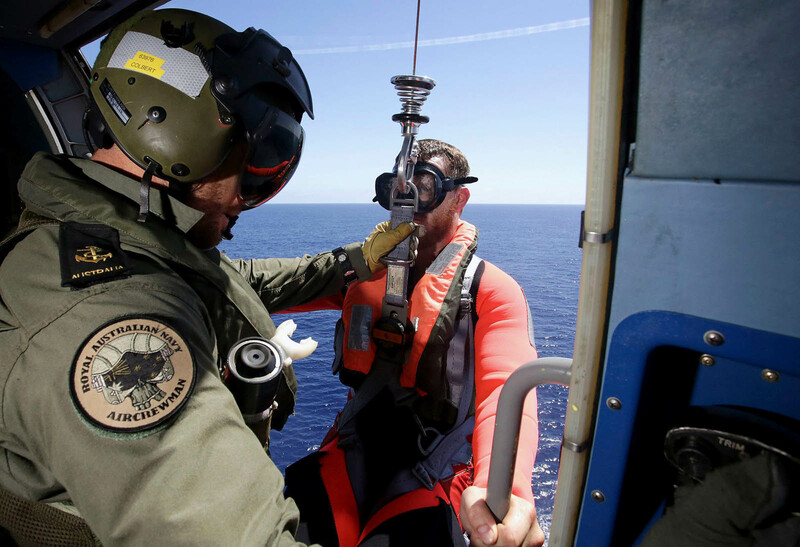 "That's actually nothing unusual for search and rescue operations, this actually happens to us all the time," Young said of the new twist in the search for the plane which went missing on March 8 with 239 people onboard. 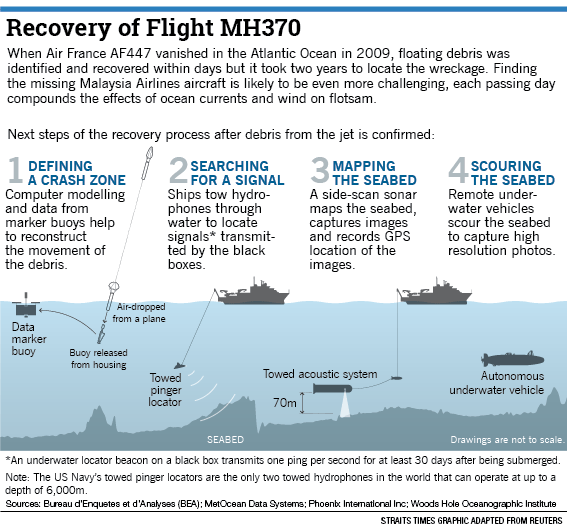 "This is the normal business of search and rescue operations, that new information comes to light, refined analysis take you to a different place. 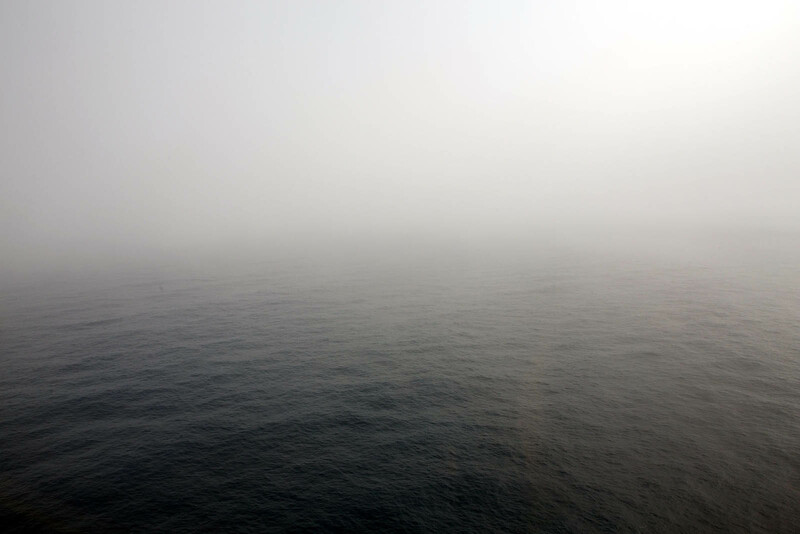 I don't count the original work a waste of time." 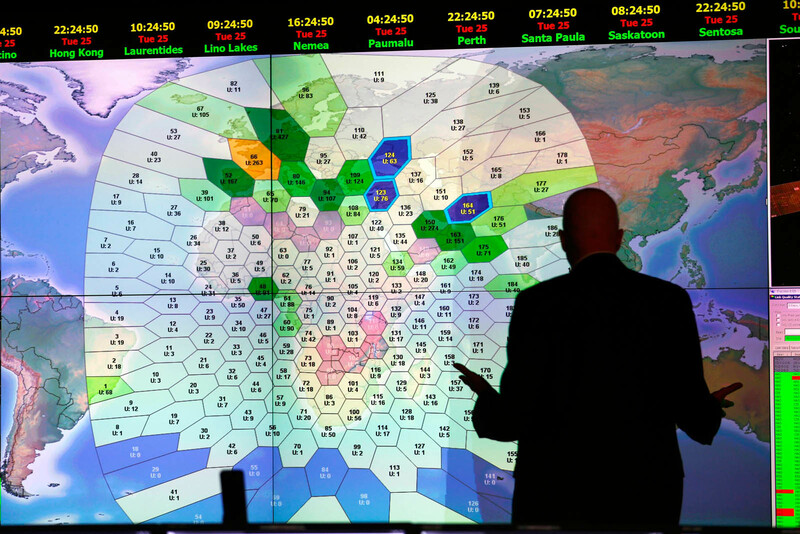 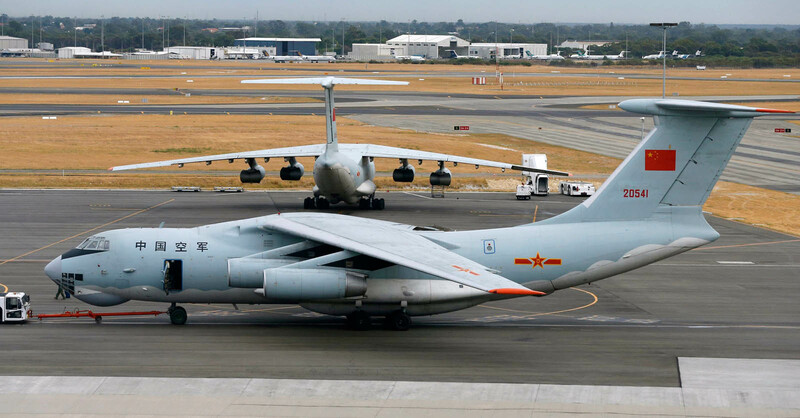 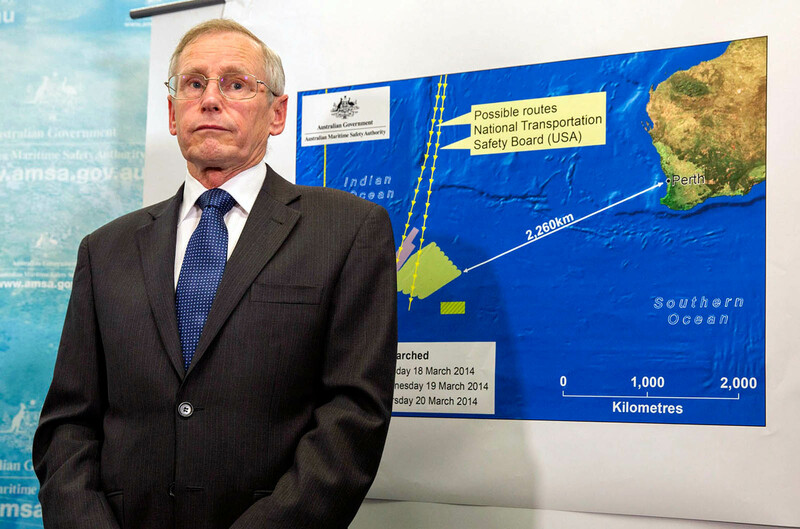 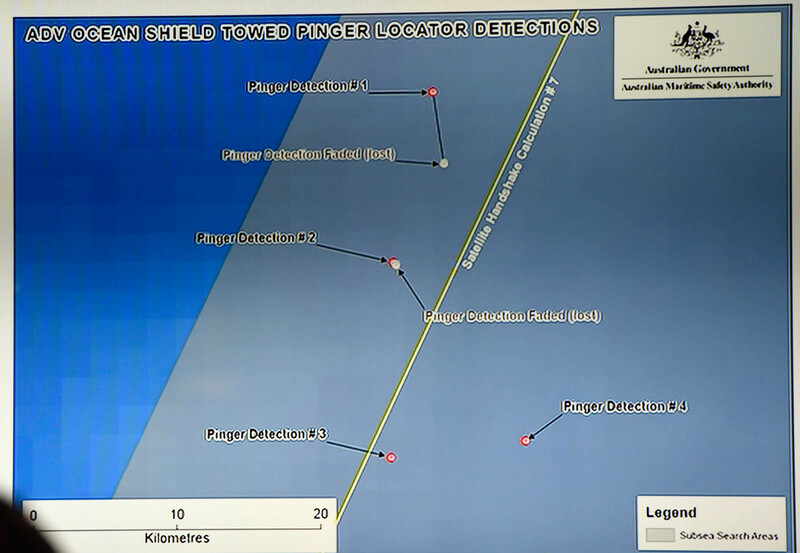 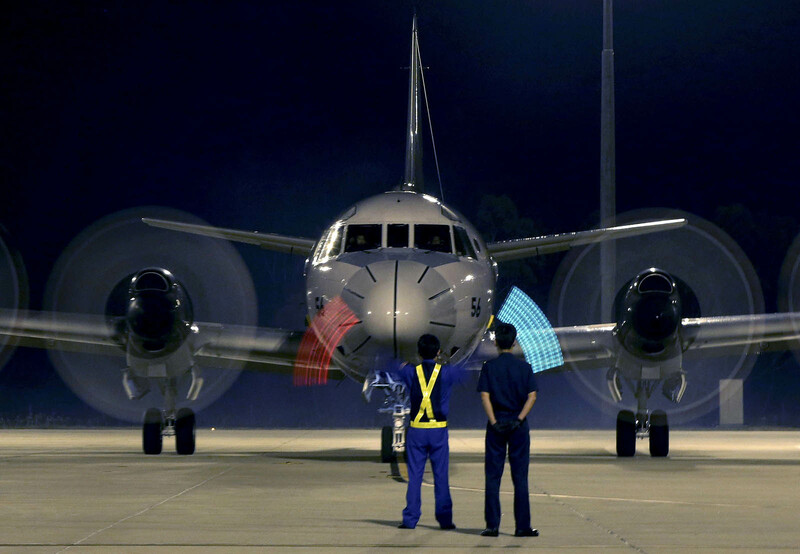 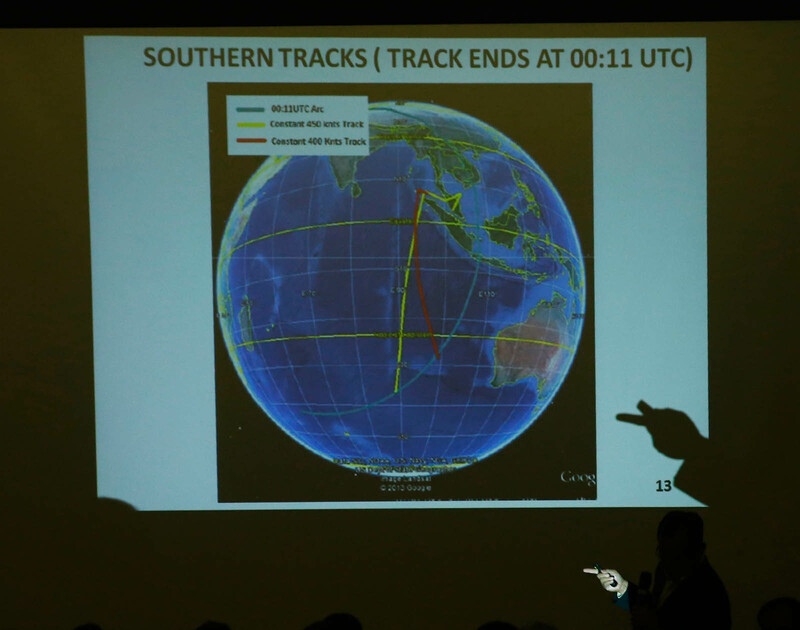 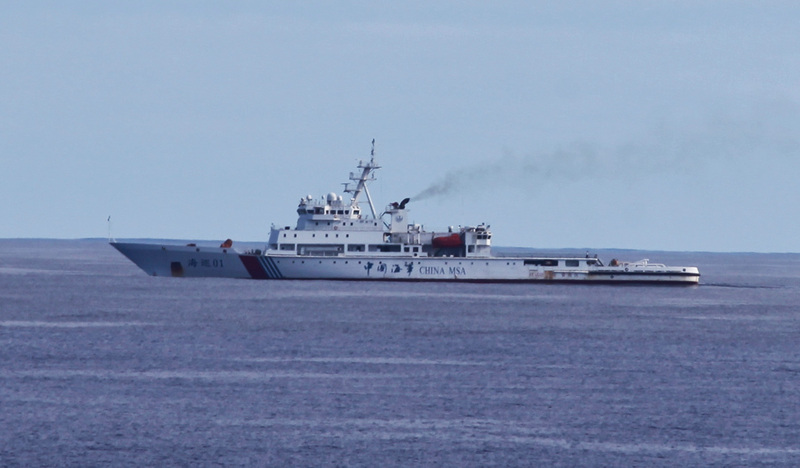 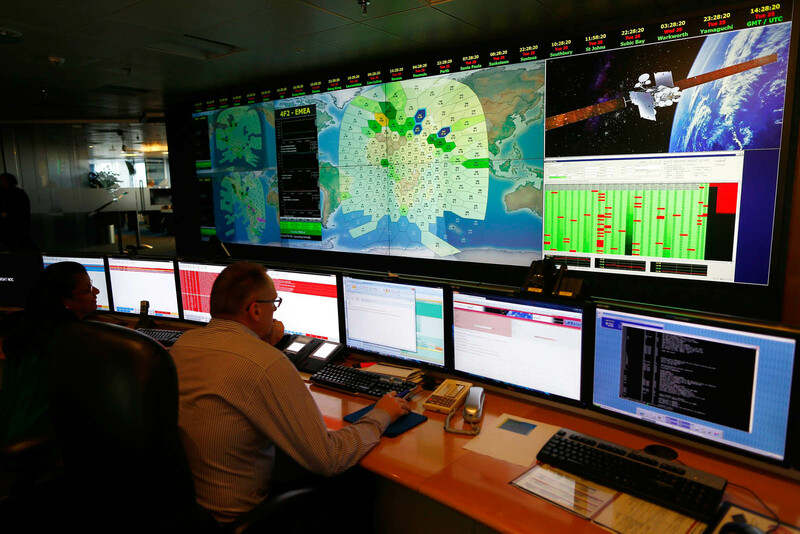 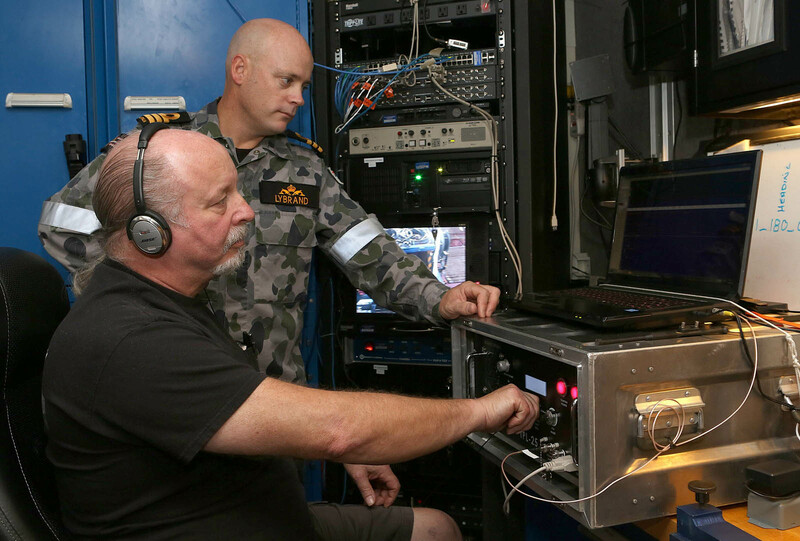 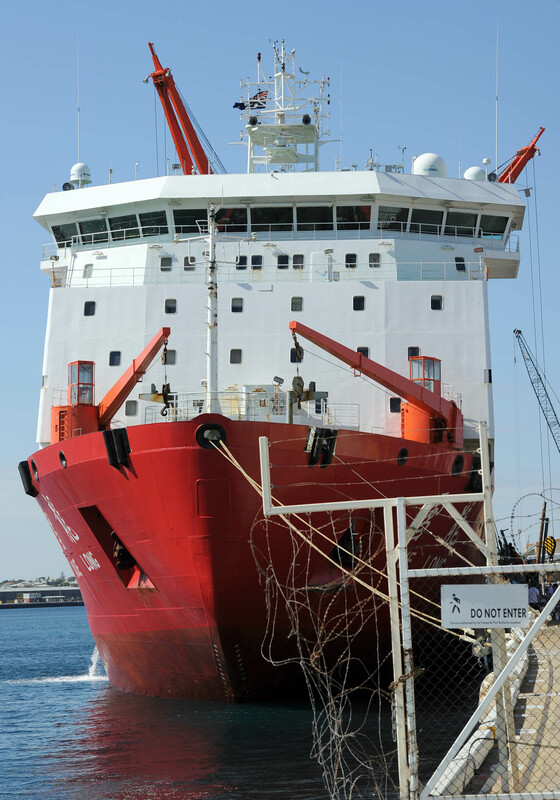 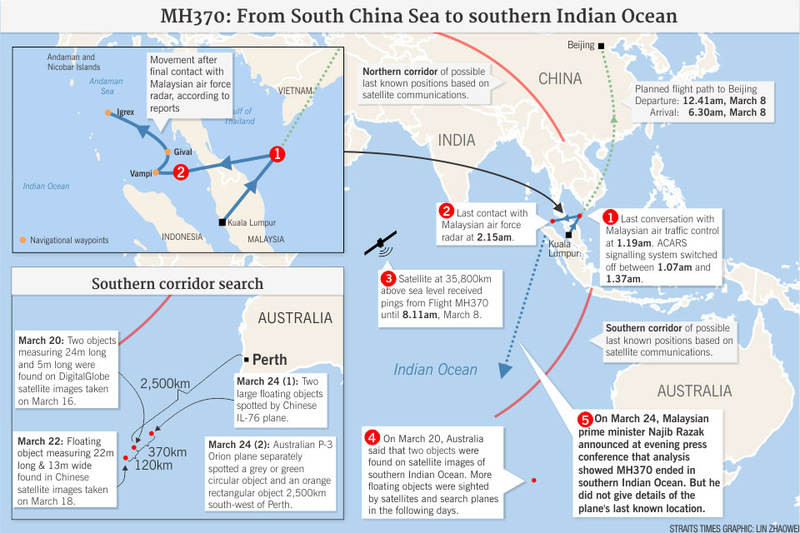 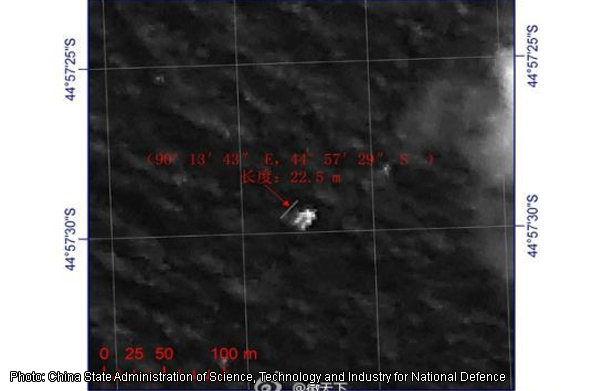 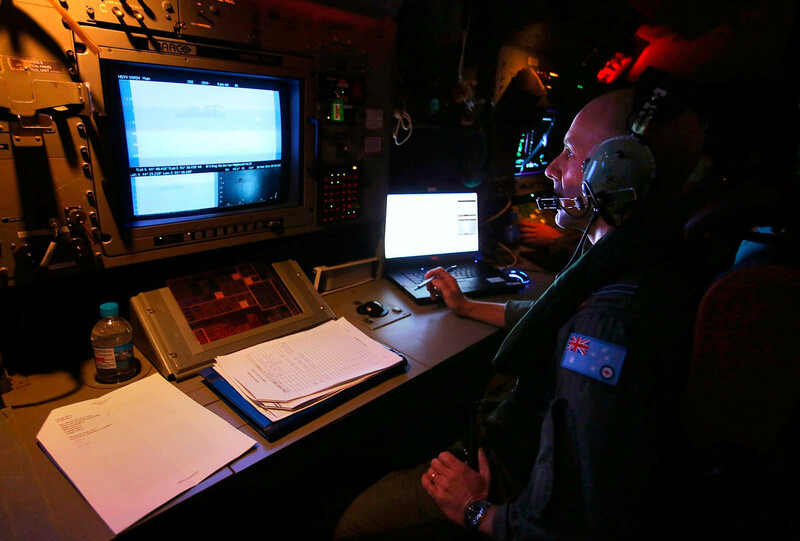 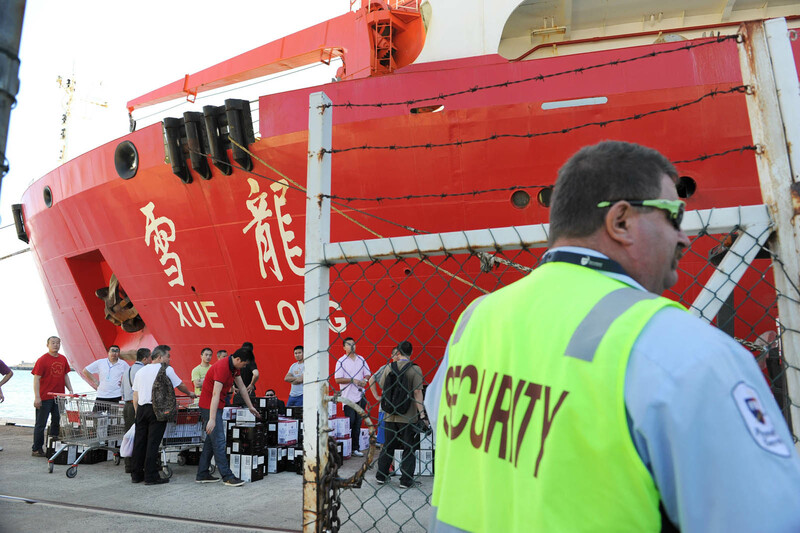 Head of the Australian Transport Safety Bureau (ATSB) Martin Dolan said the new search zone was based on analysis of radar data about the aircraft's movement between the South China Sea and the Strait of Malacca before radar contact was lost. 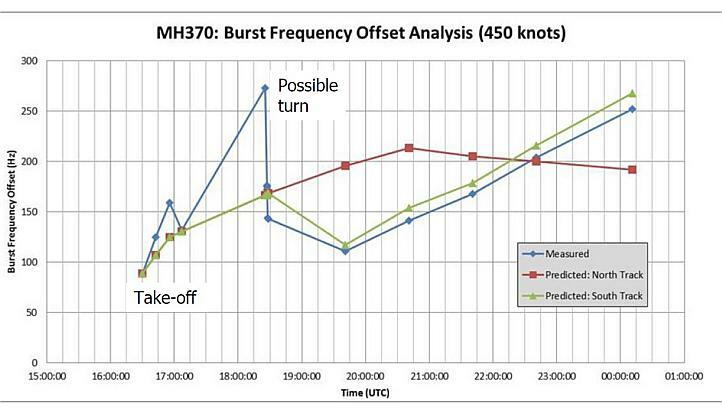 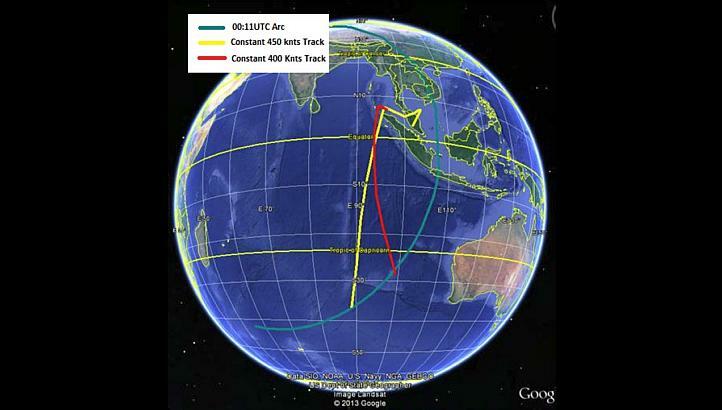 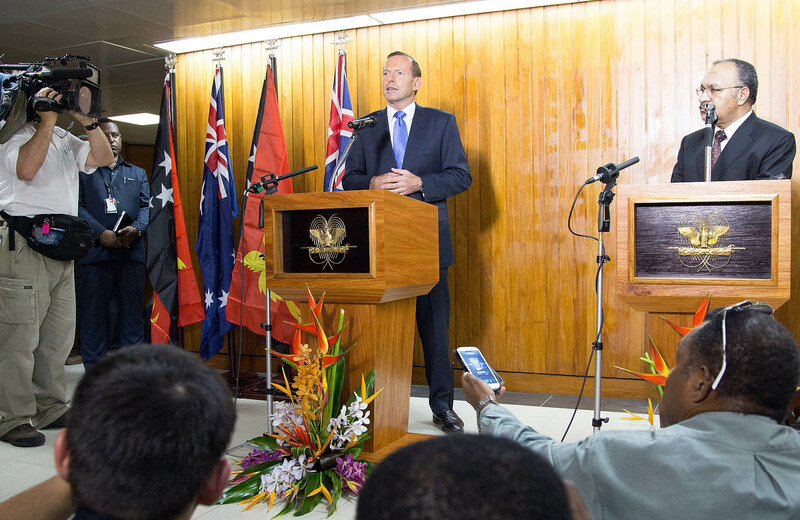 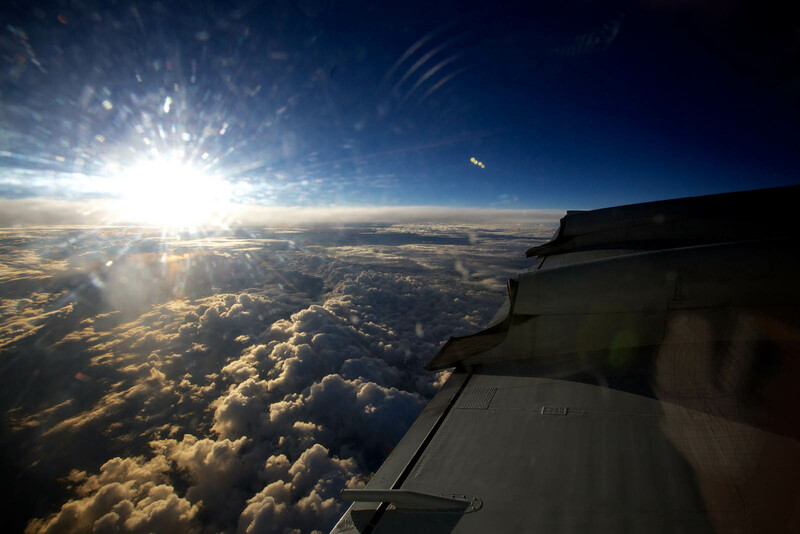 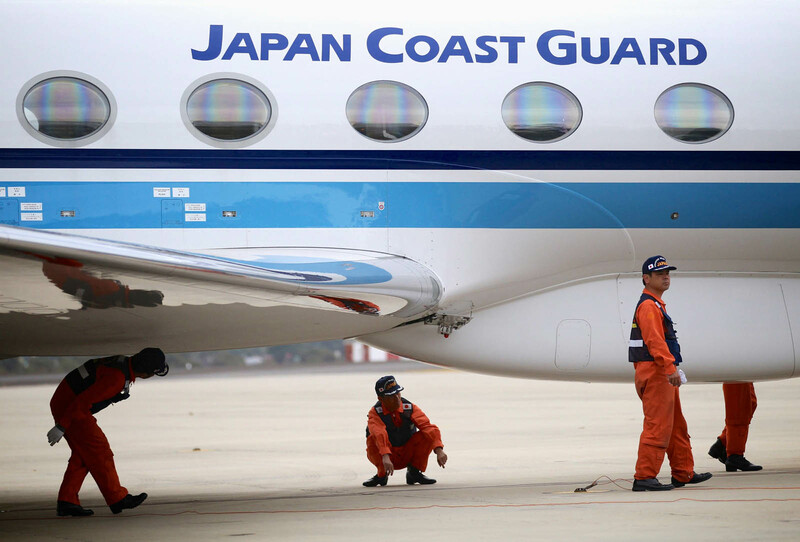 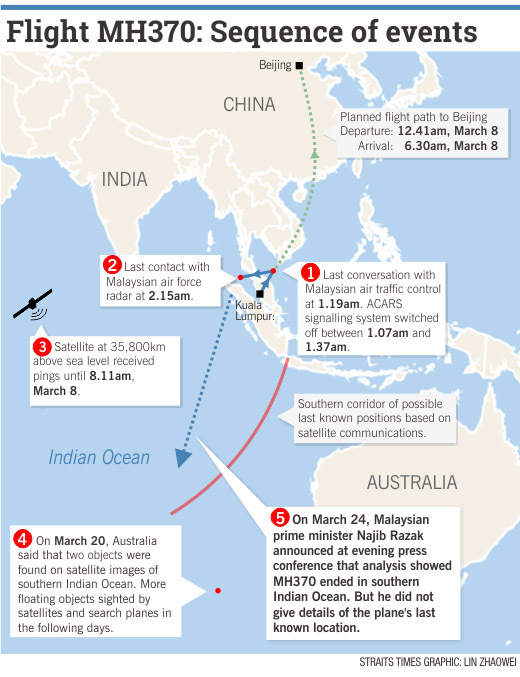 "This continuing analysis indicates that the plane was travelling faster than was previously estimated, resulting in increased fuel usage and reducing the possible distance it travelled south into the Indian Ocean," he said. 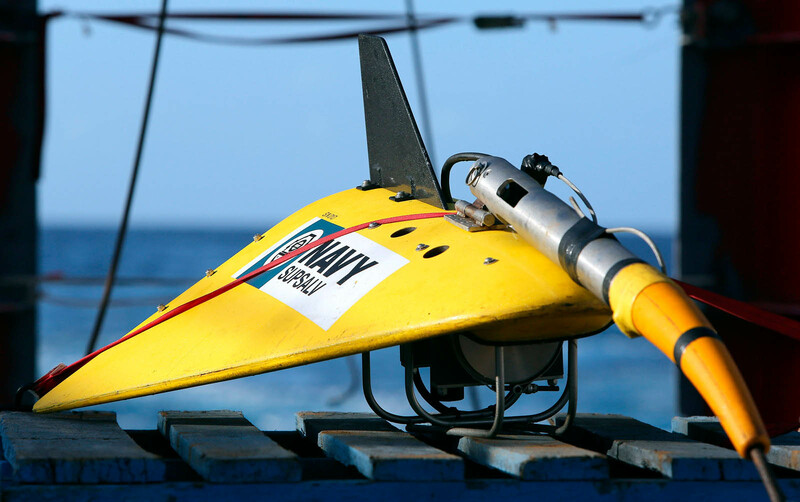 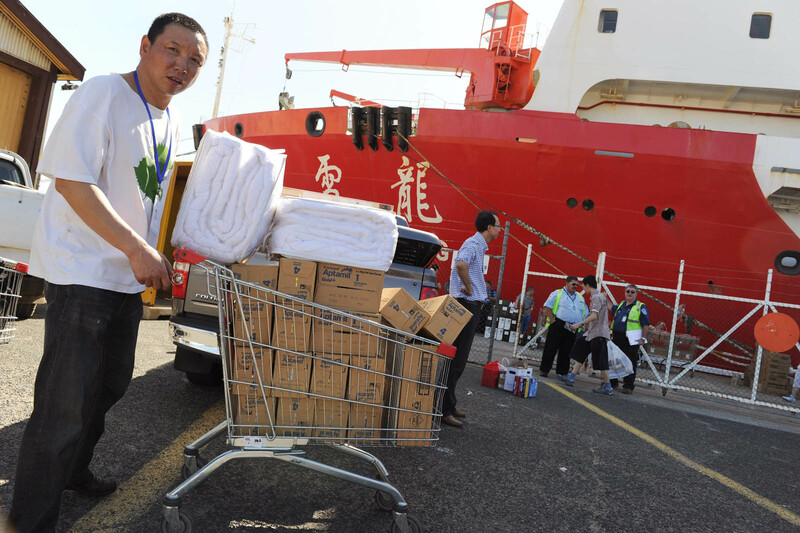 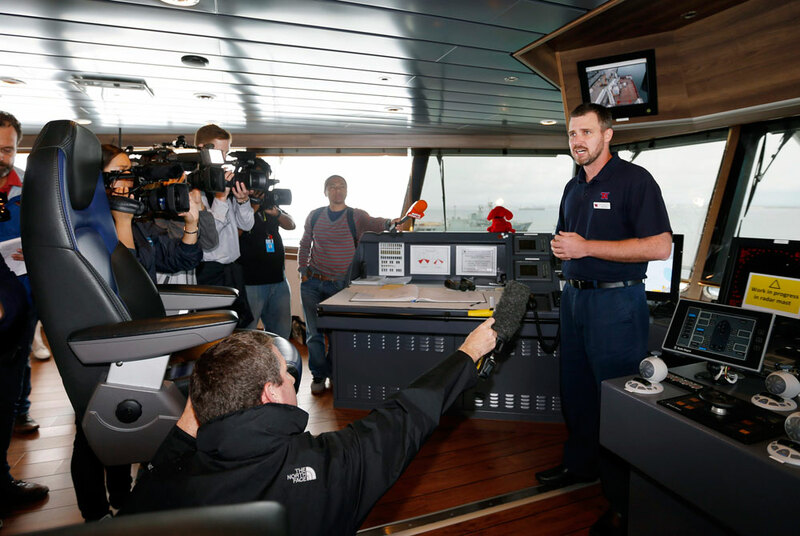 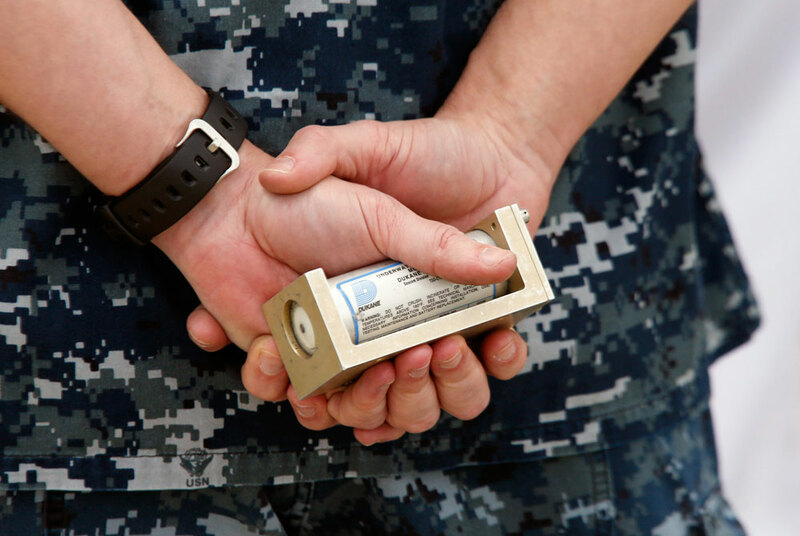 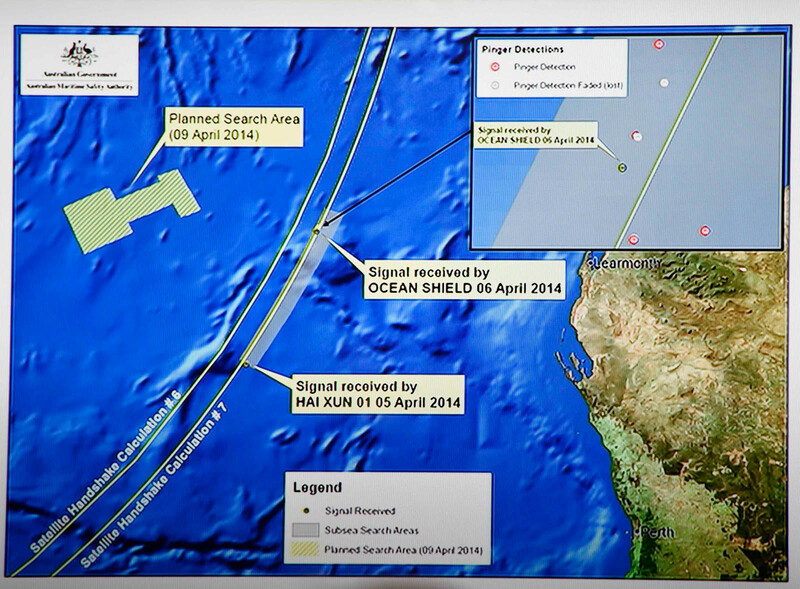 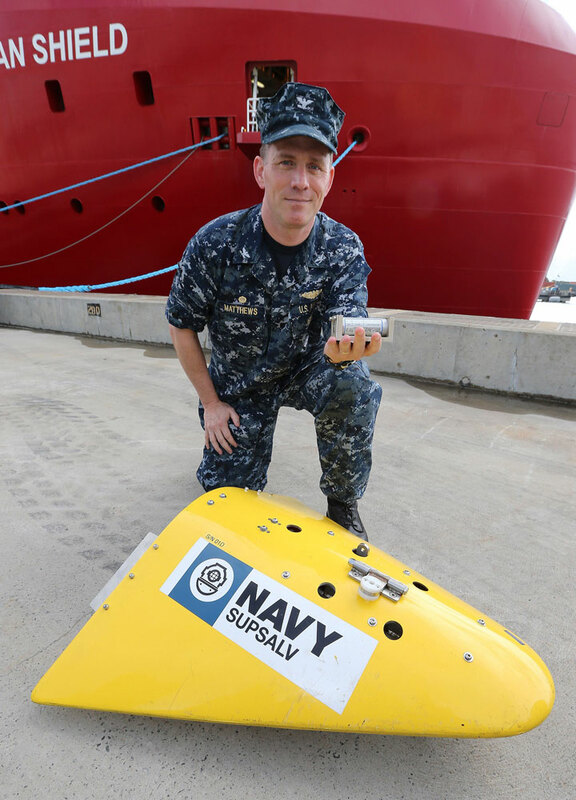 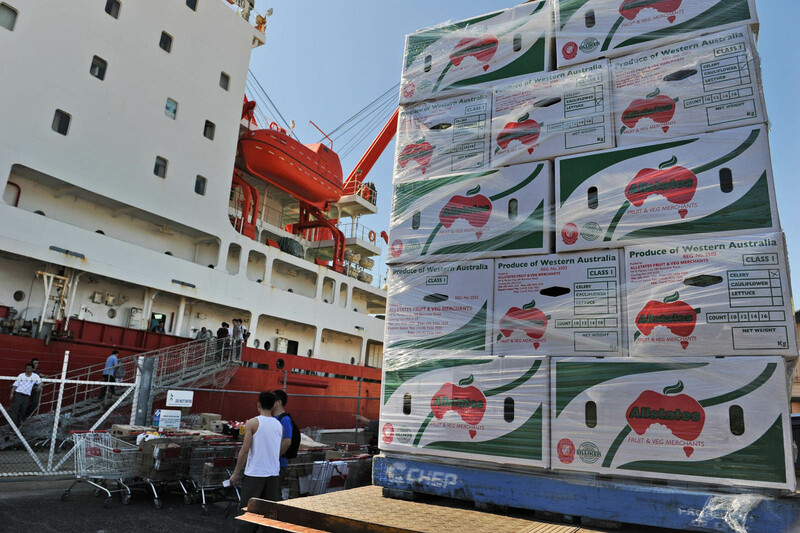 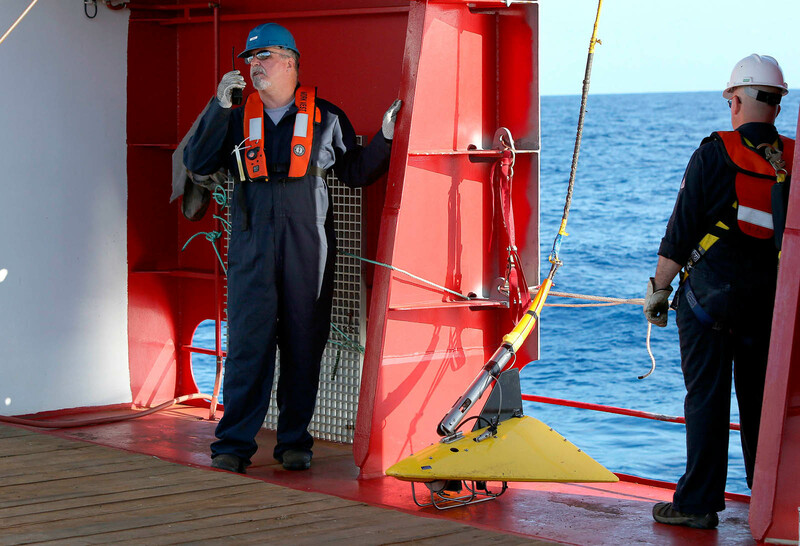 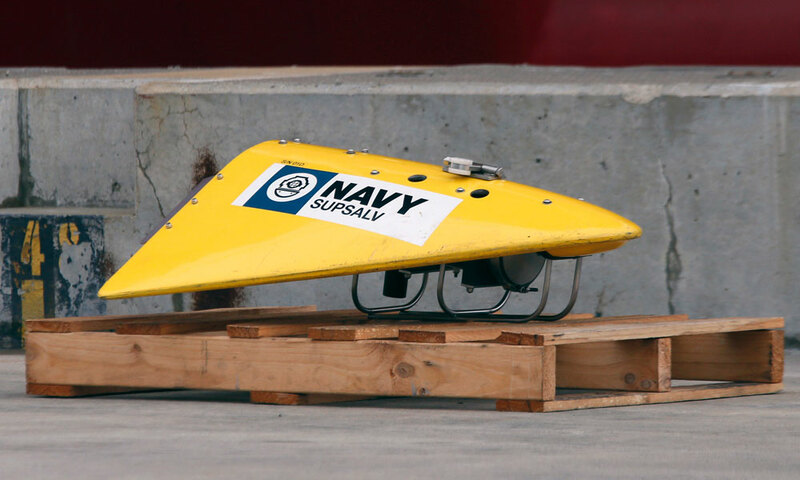 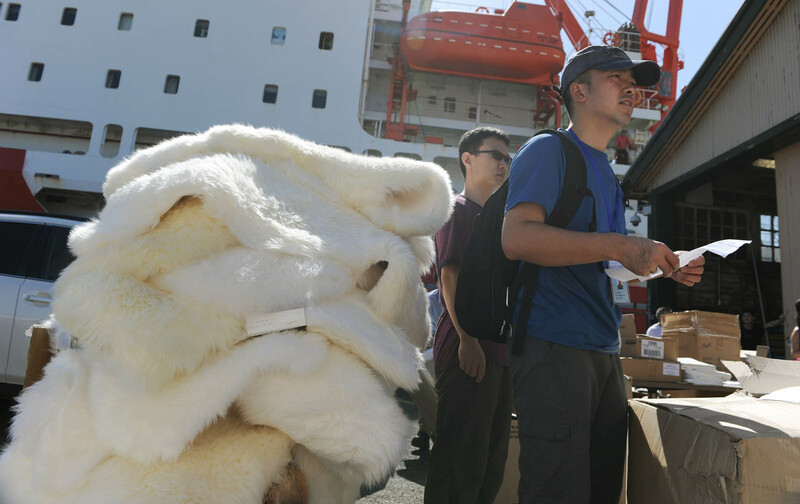 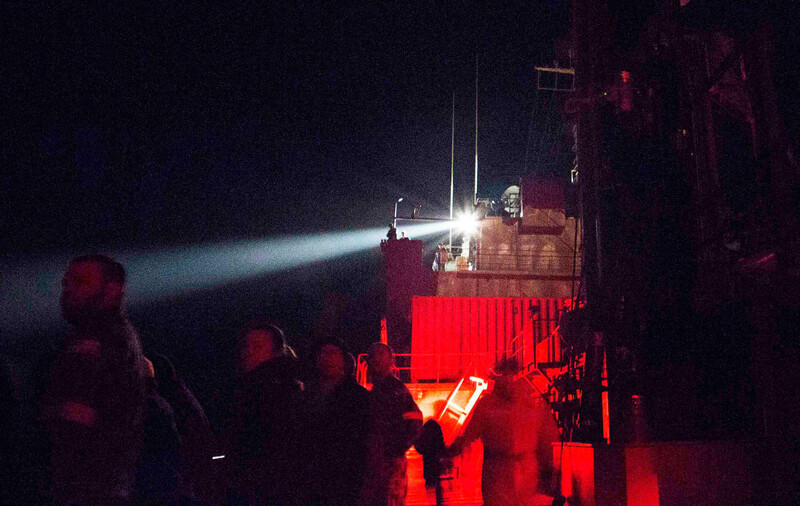 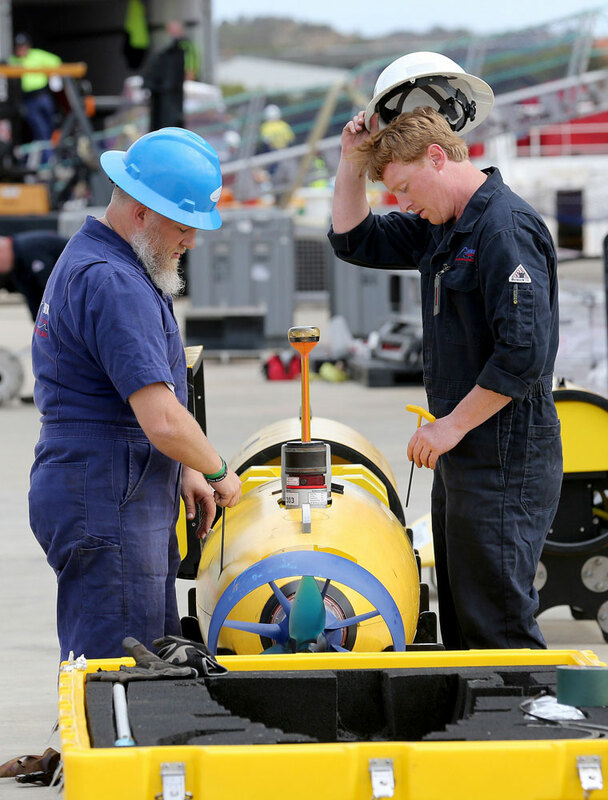 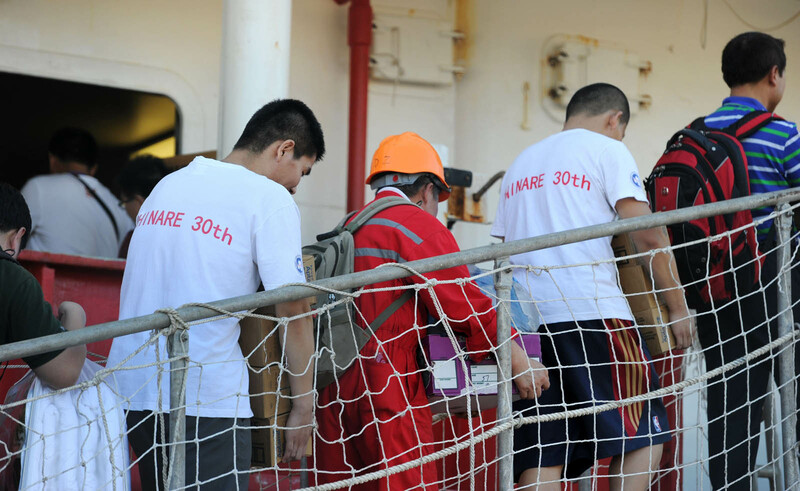 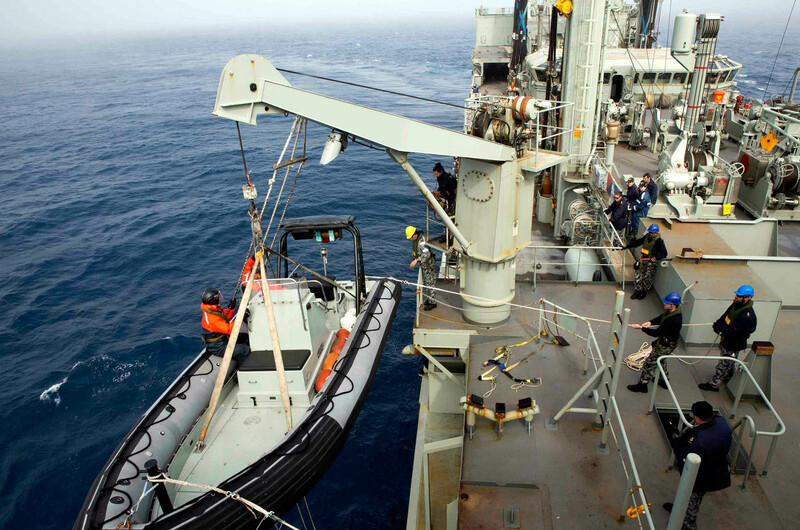 Dolan said the international team's continuing analysis could result in further refinement of the search area. 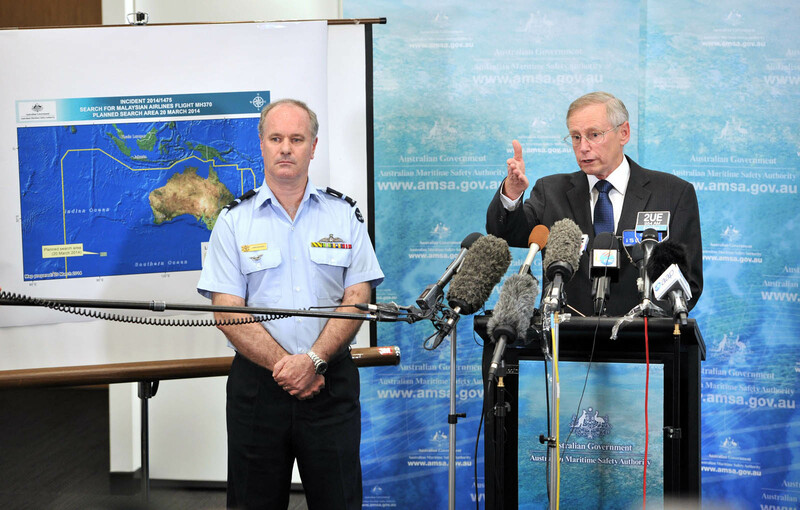 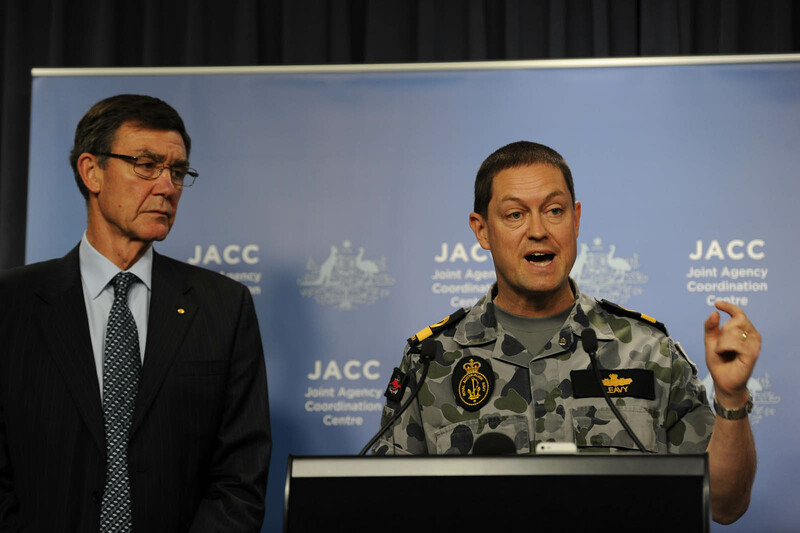 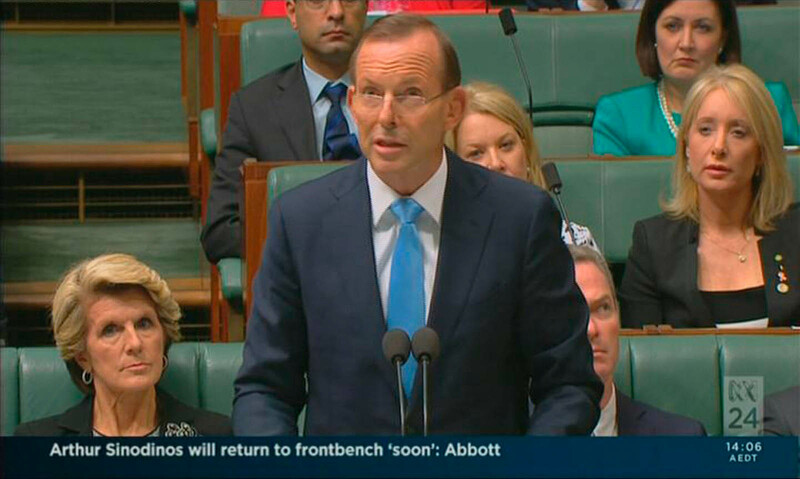 But he said the new area was the "most credible lead we currently have in the search for aircraft wreckage". 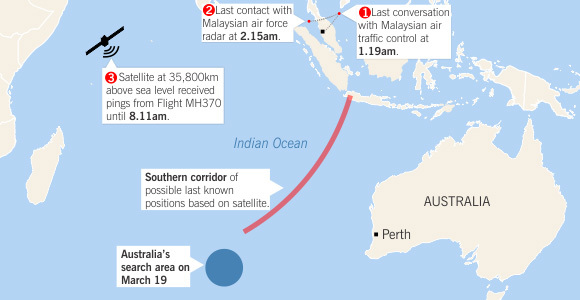 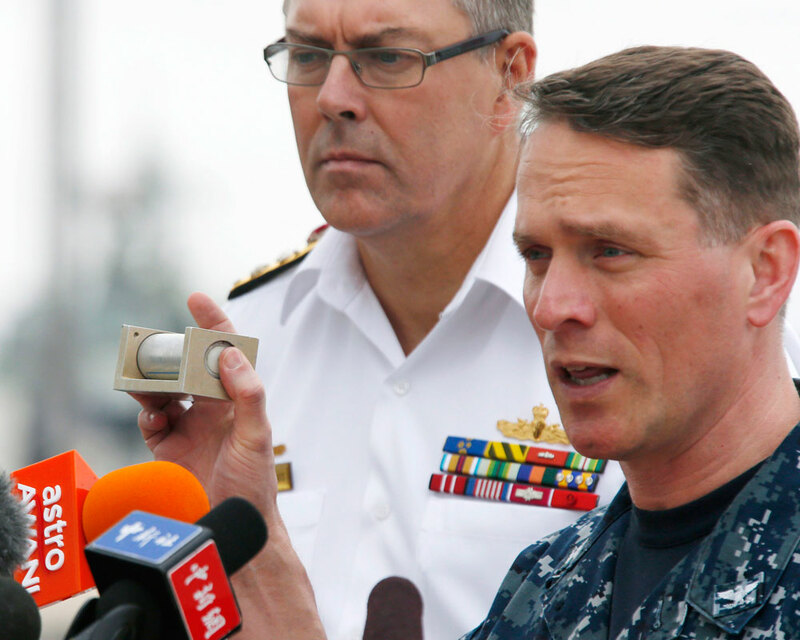 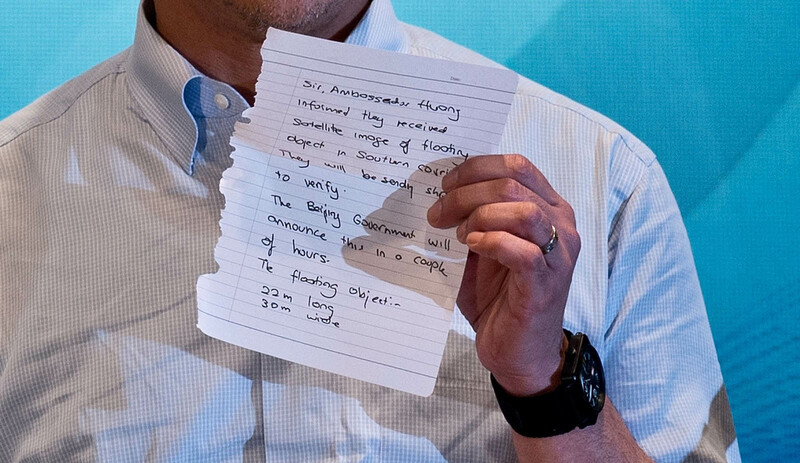 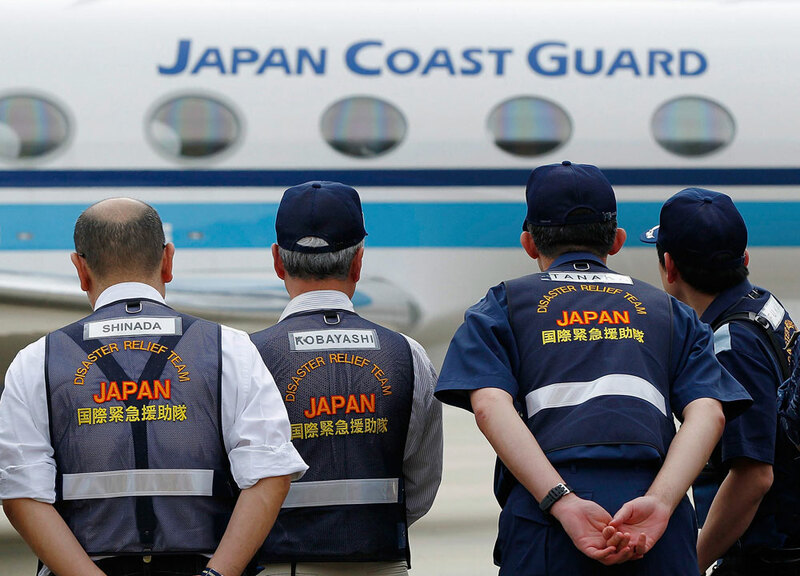 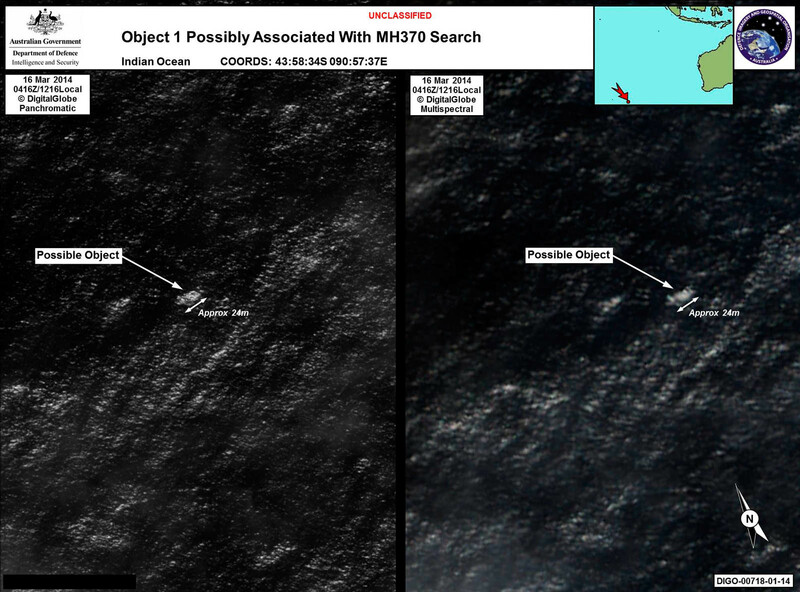 "This is our best estimate of the area in which the aircraft is likely to have crashed into the ocean," he said. 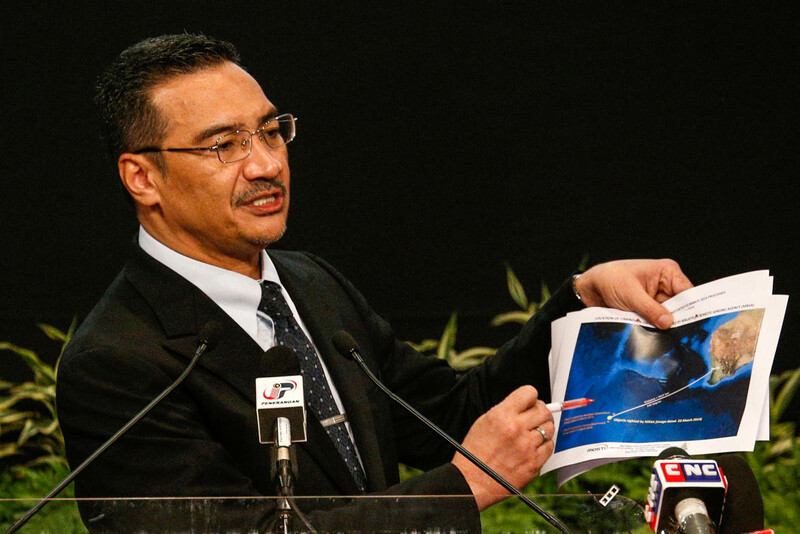 "Let me stress that under international convention, Malaysia has investigative responsibly for Malaysia Airlines Flight MH370. 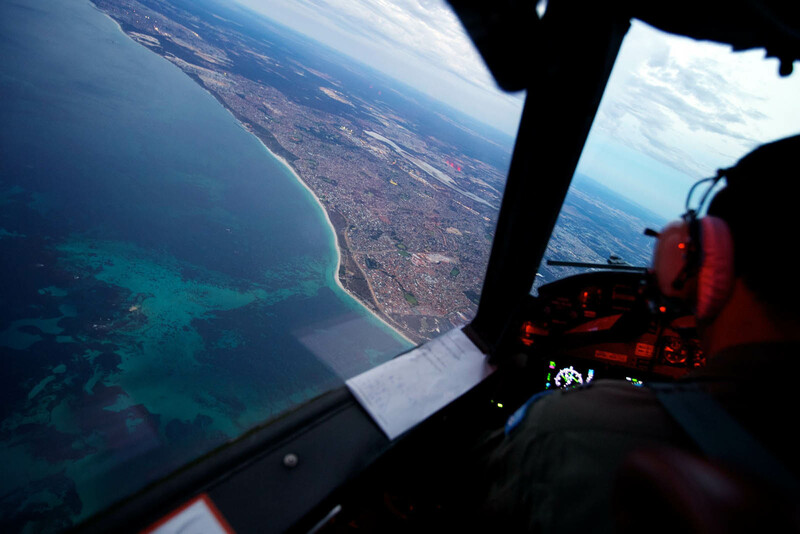 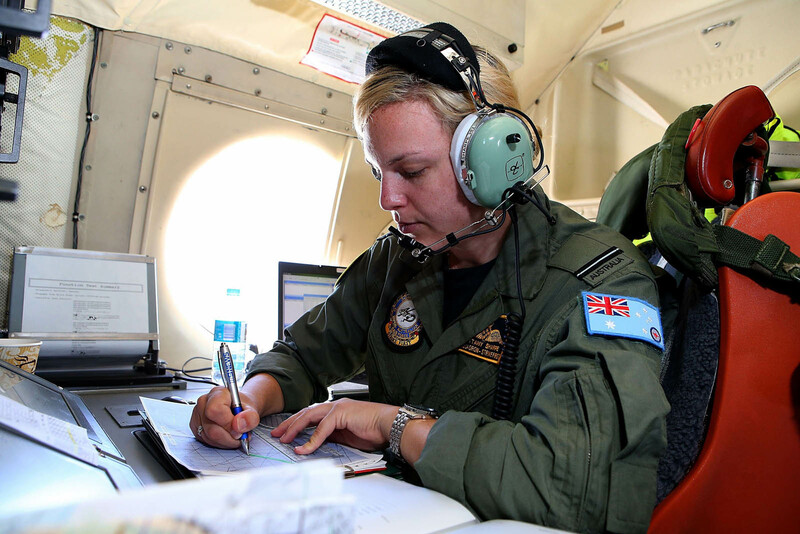 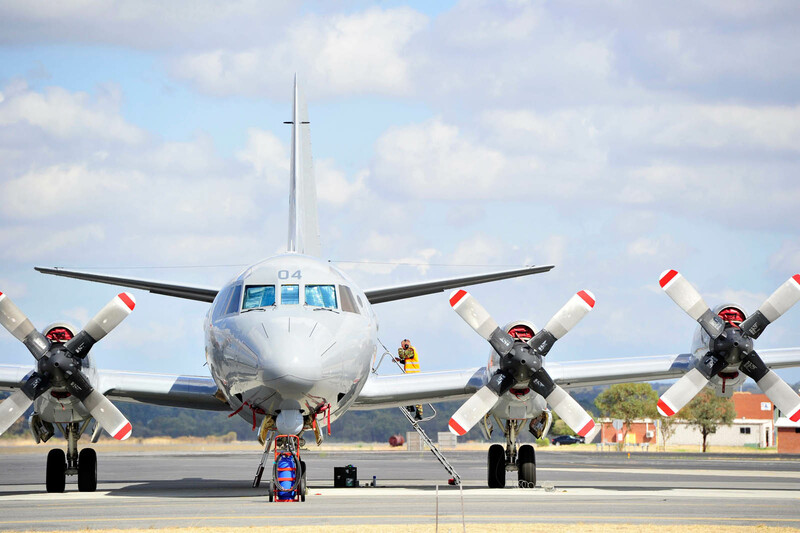 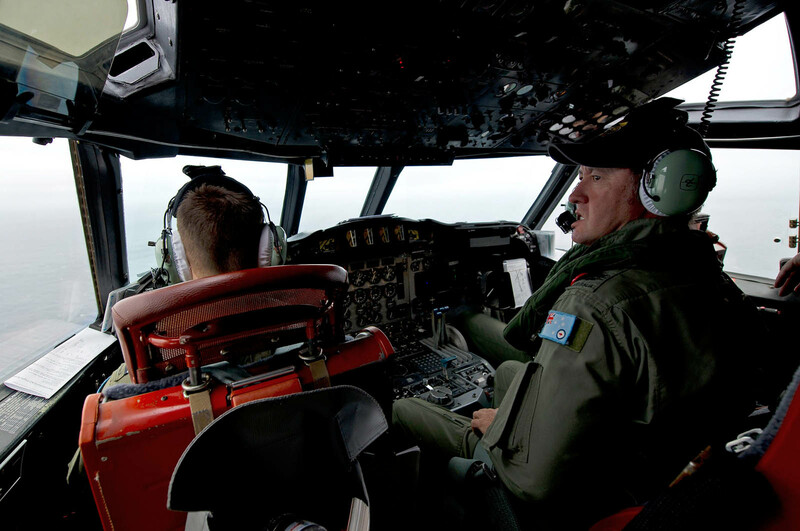 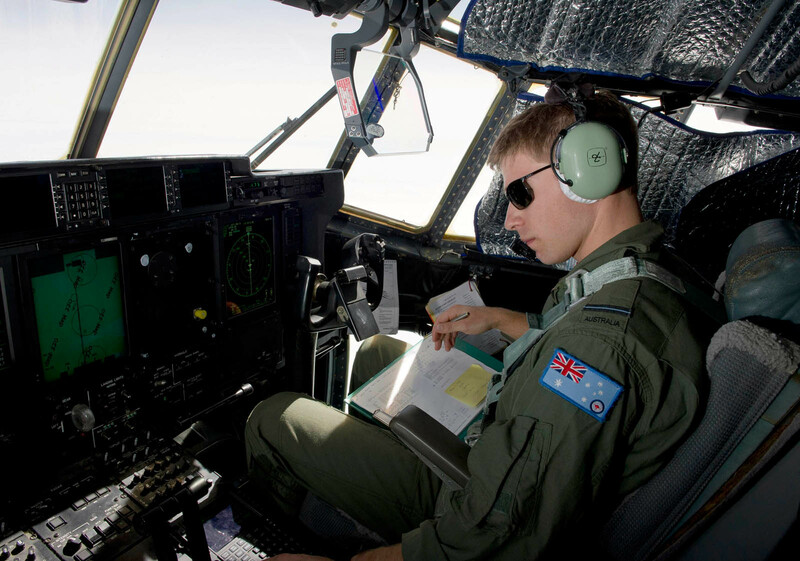 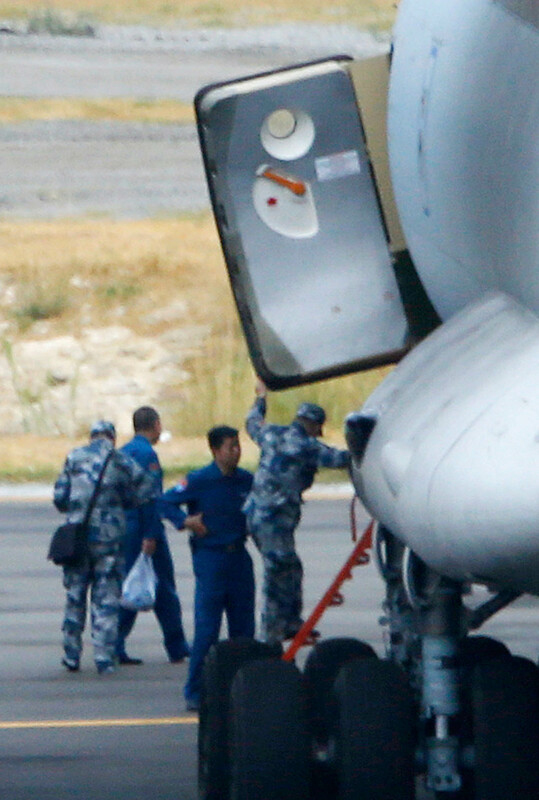 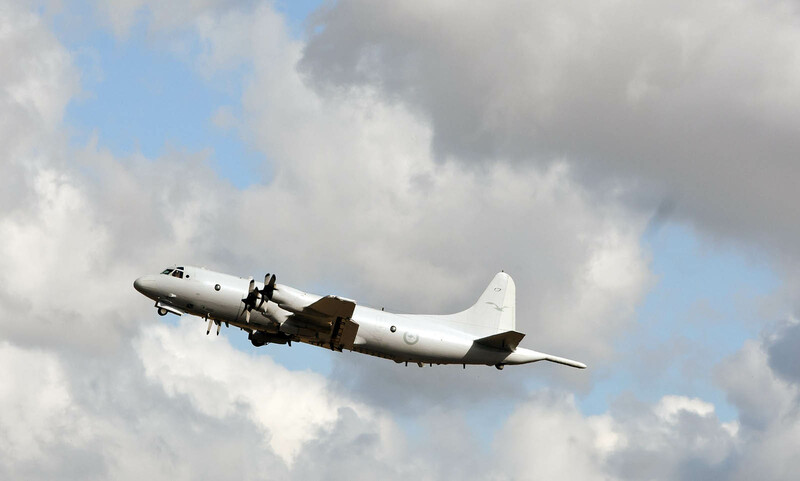 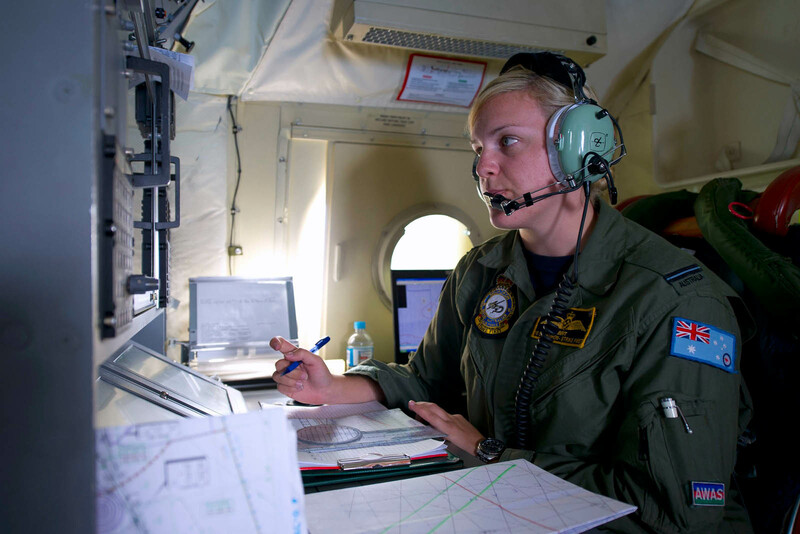 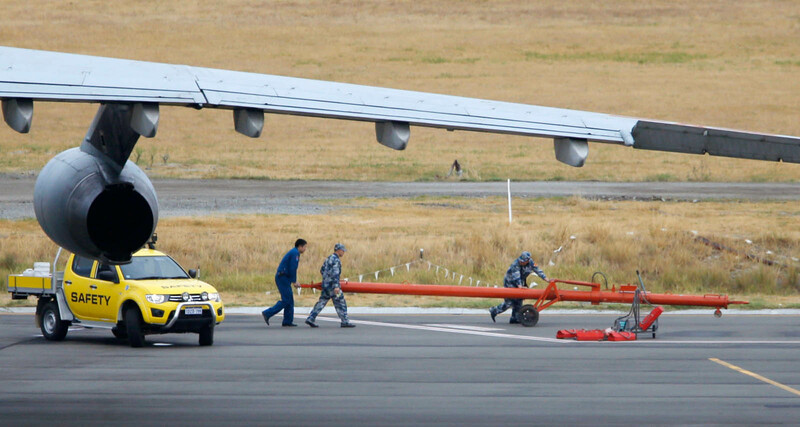 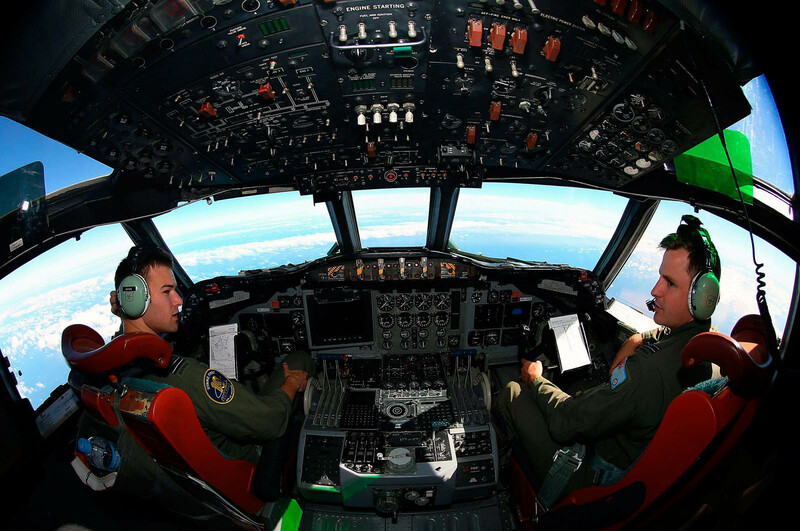 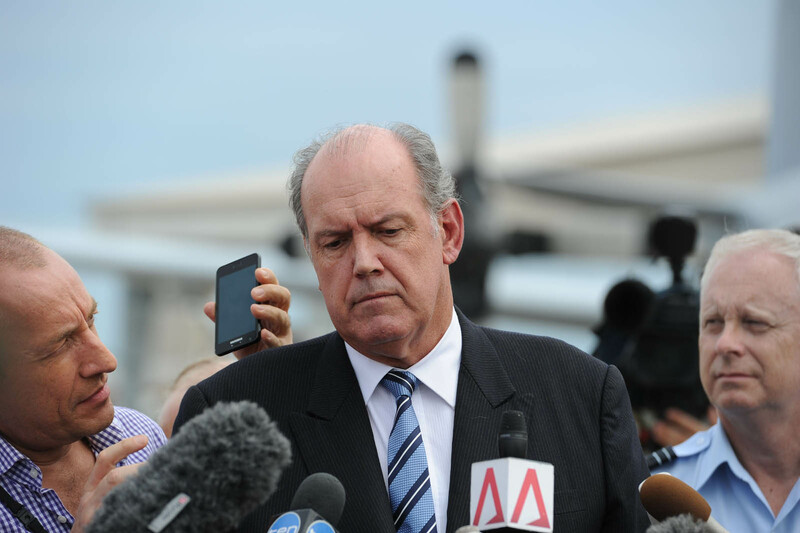 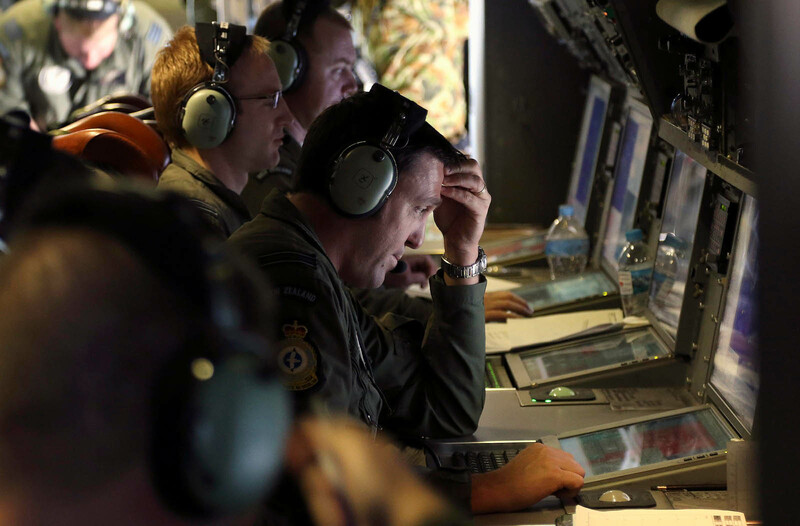 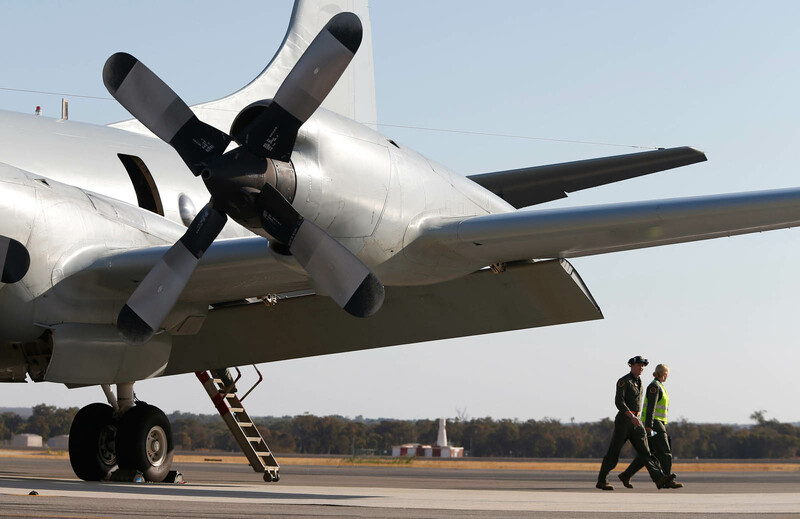 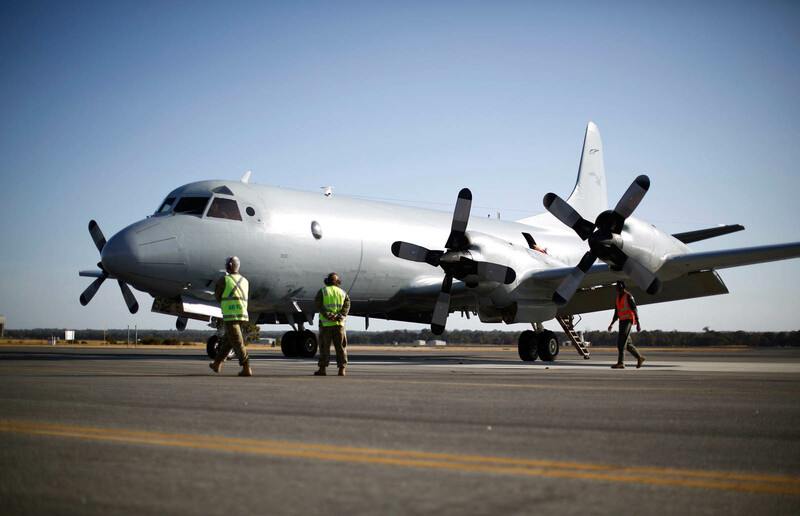 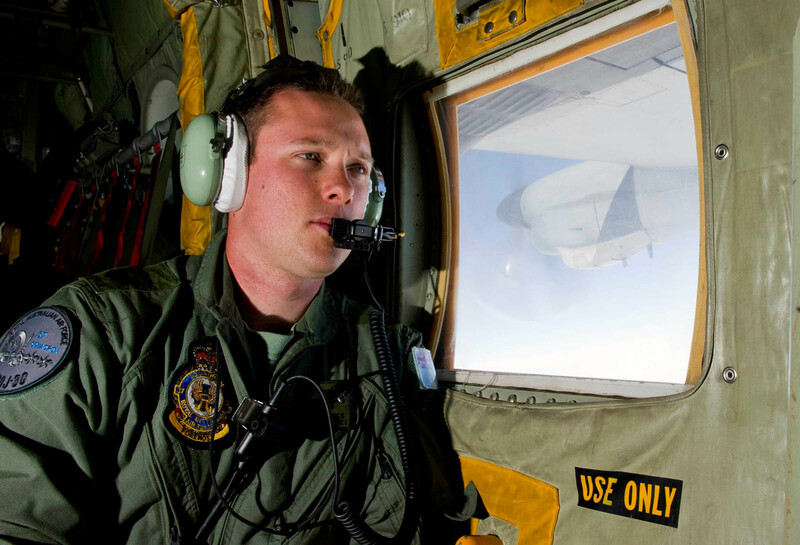 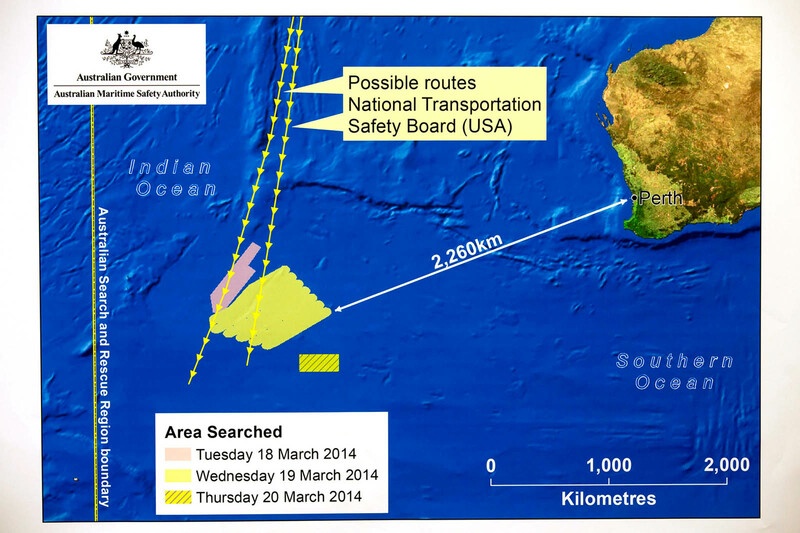 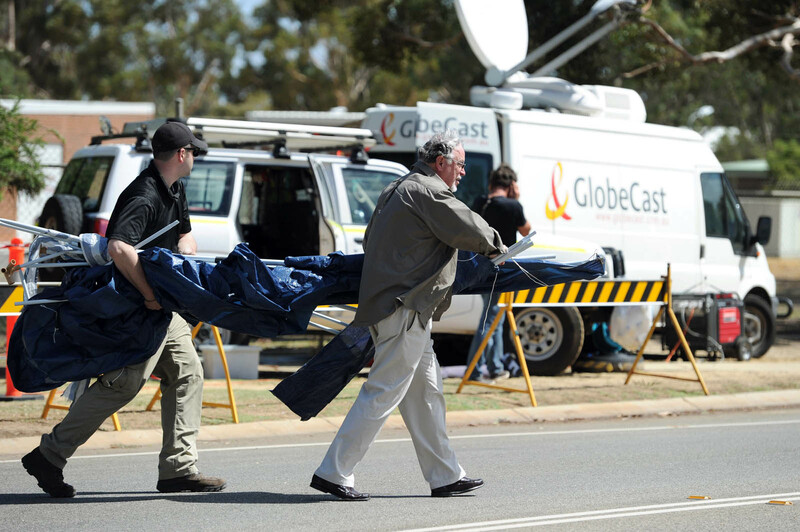 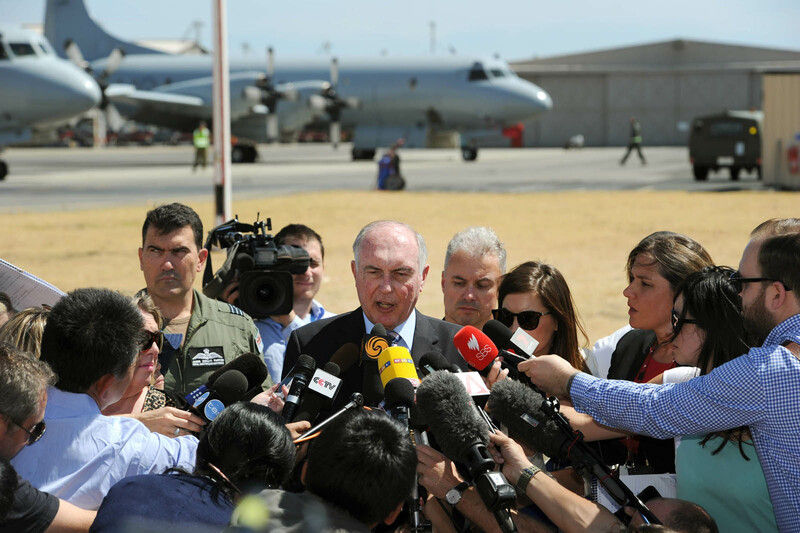 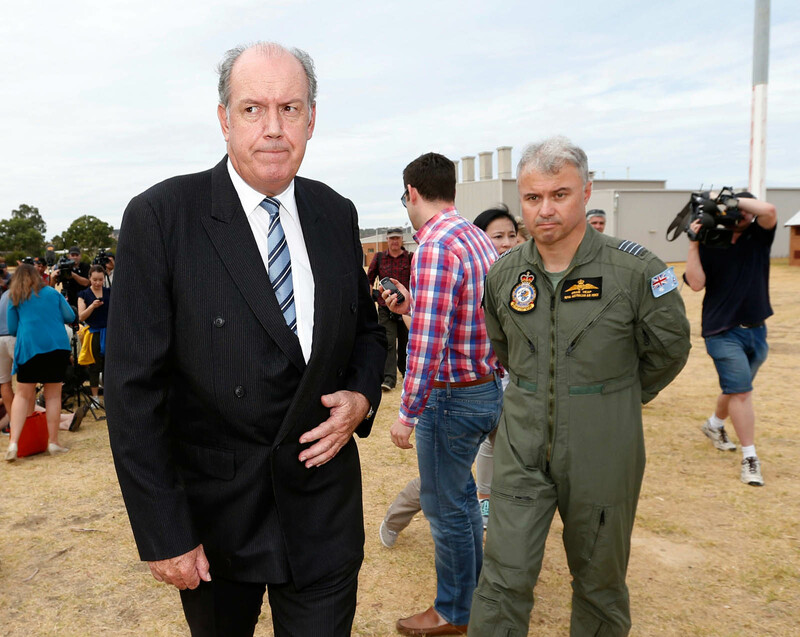 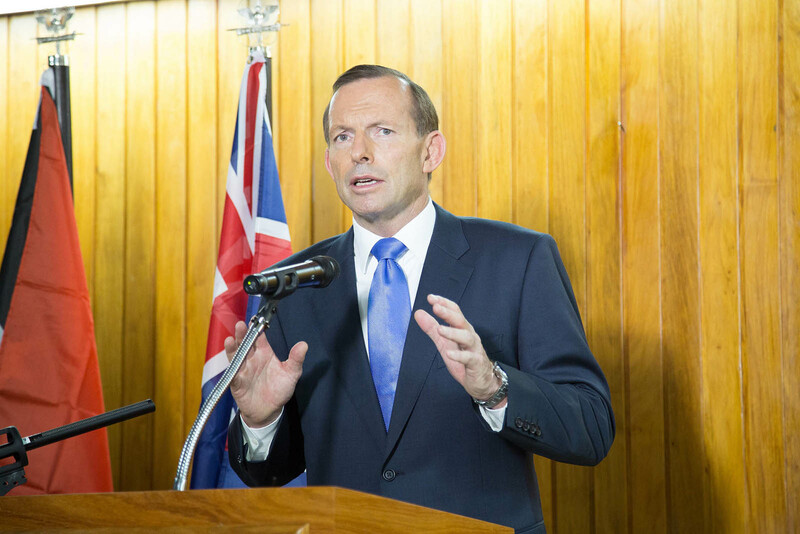 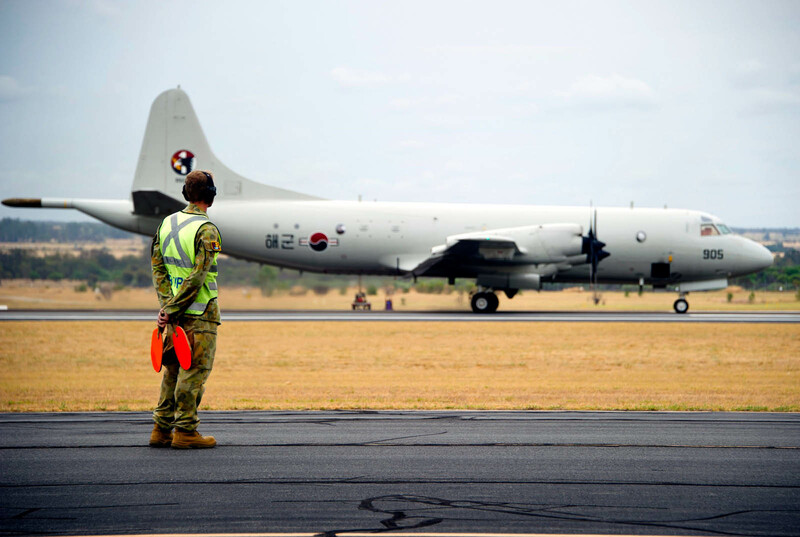 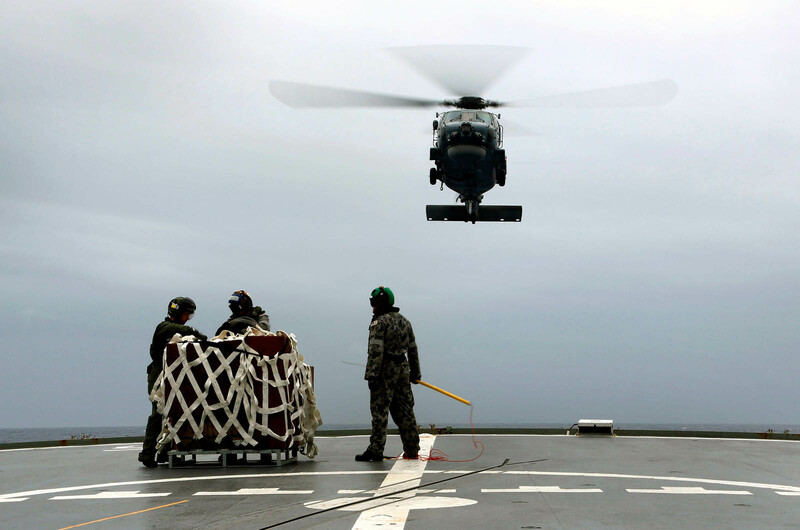 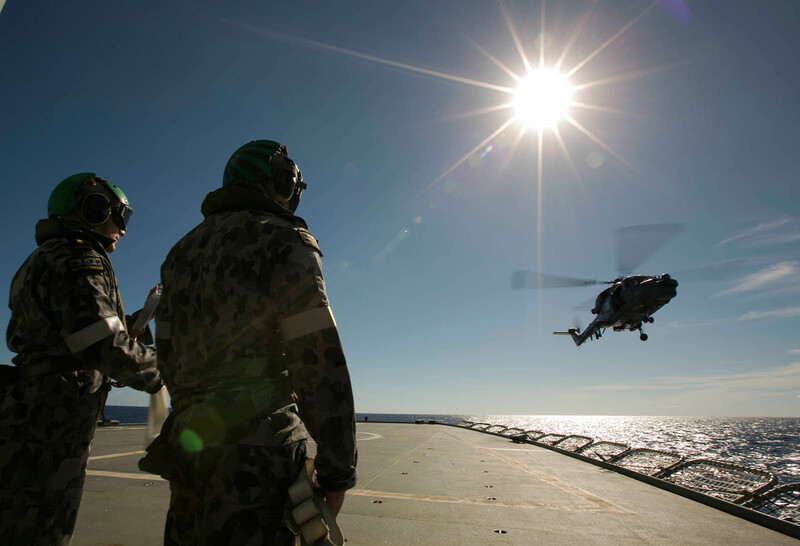 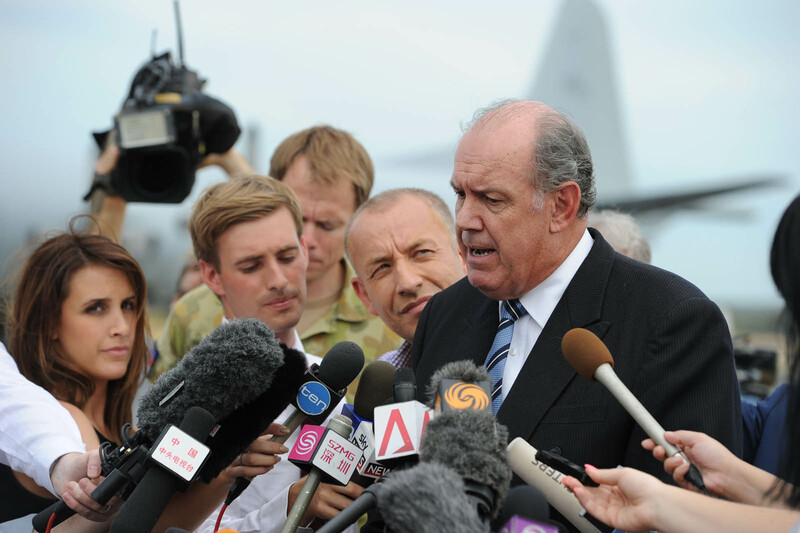 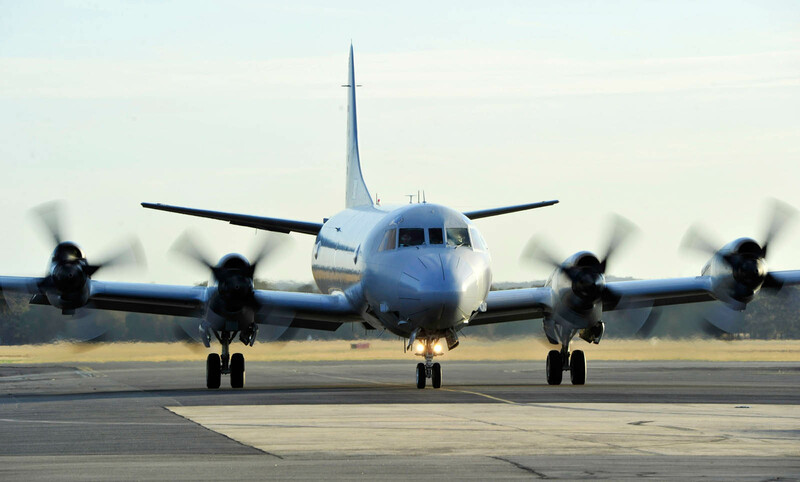 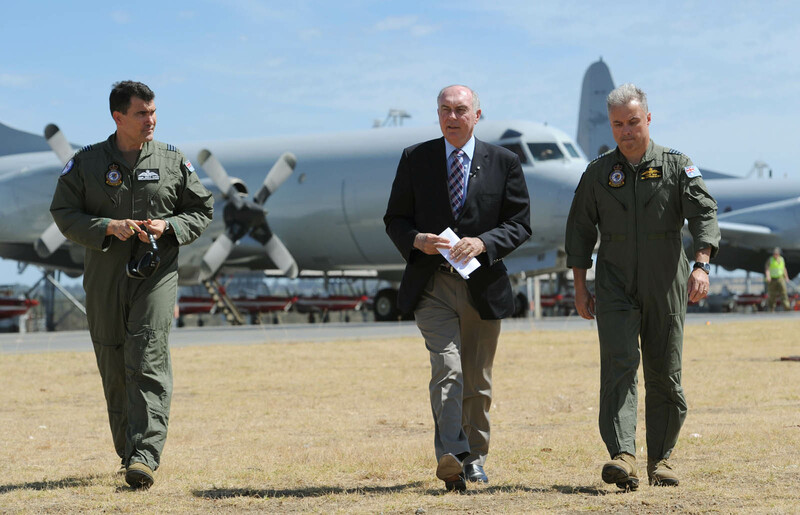 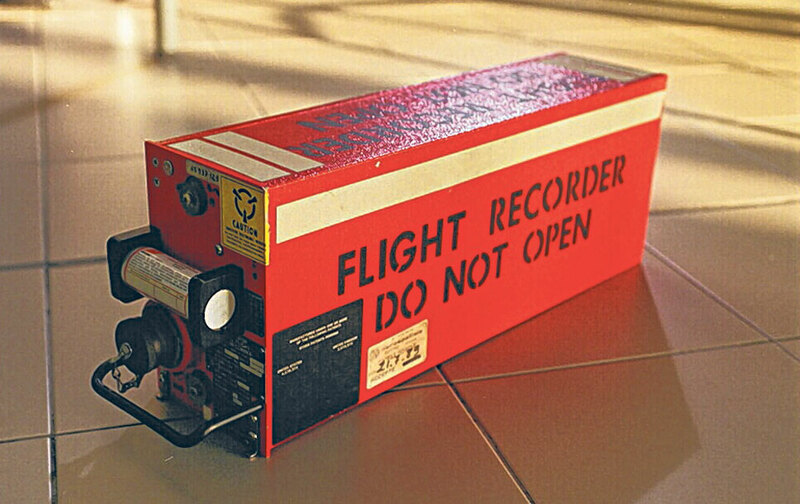 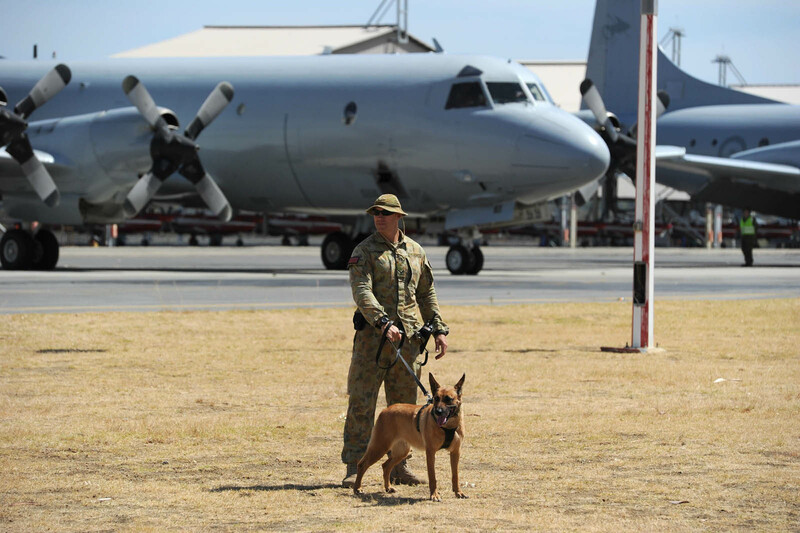 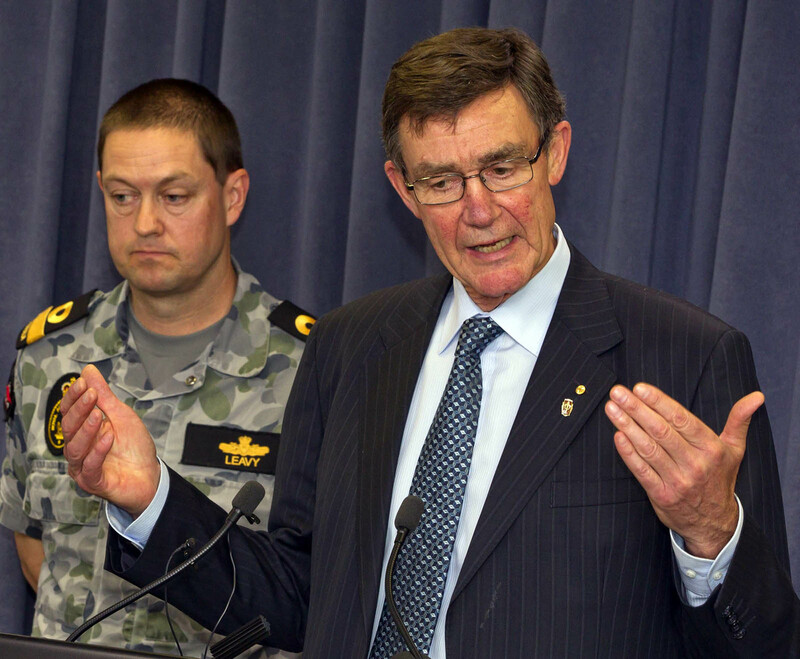 At this stage, the ATSB's main task is to assist in the search for the aircraft," he said. 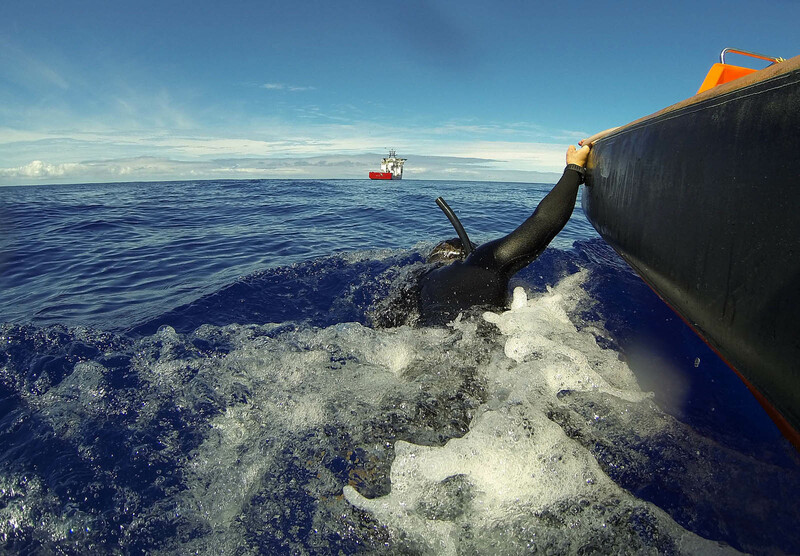 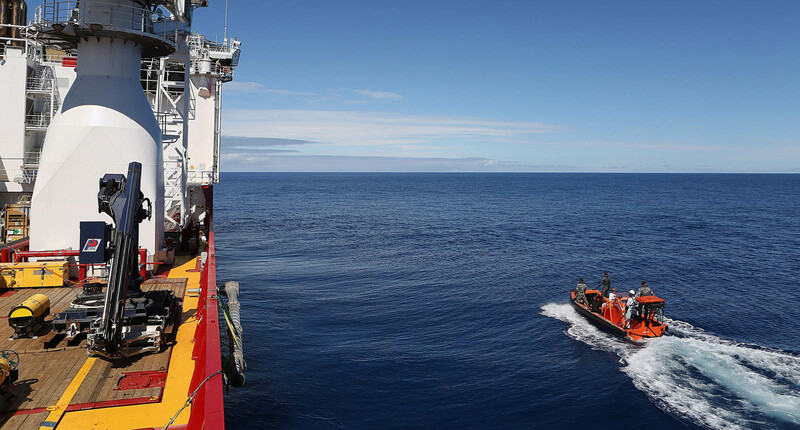 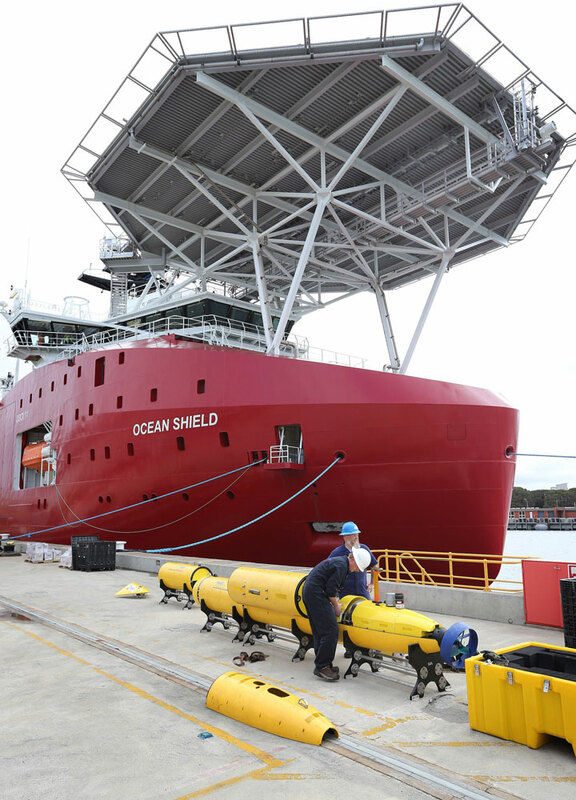 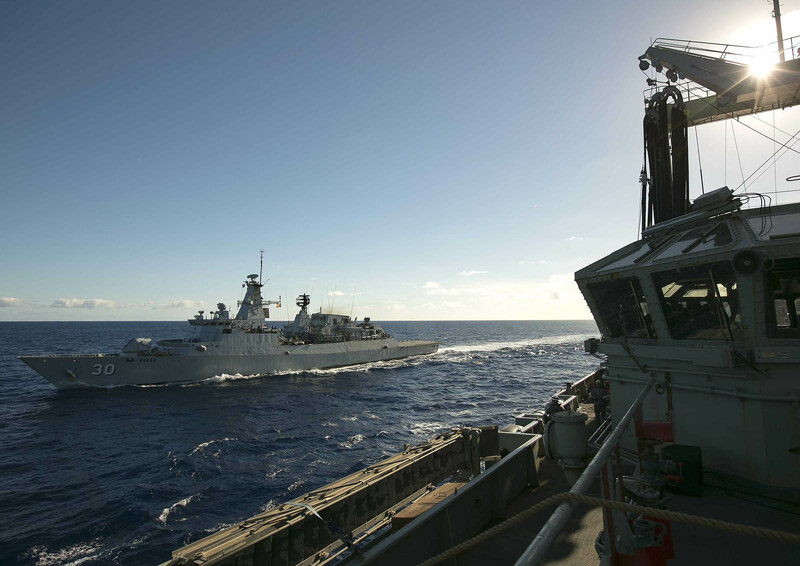 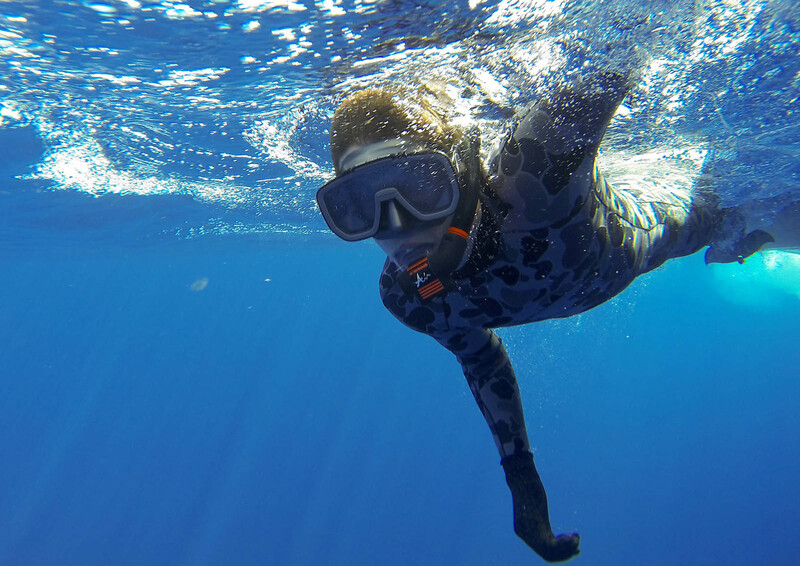 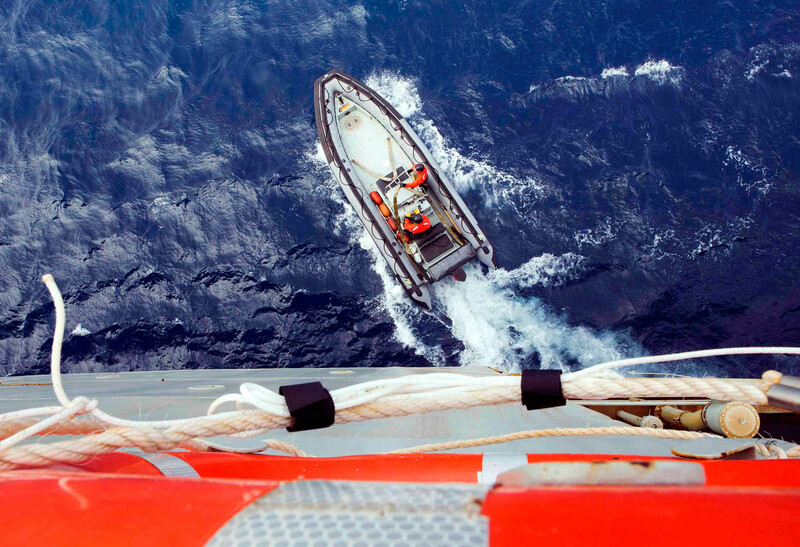 The new search area is closer to land and not in the belt of winds known as the Roaring Forties, which whips up mountainous seas and difficult conditions. 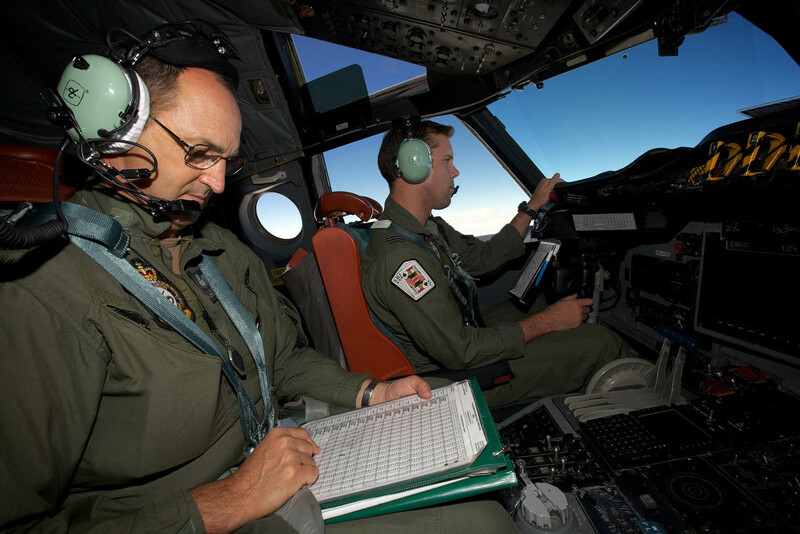 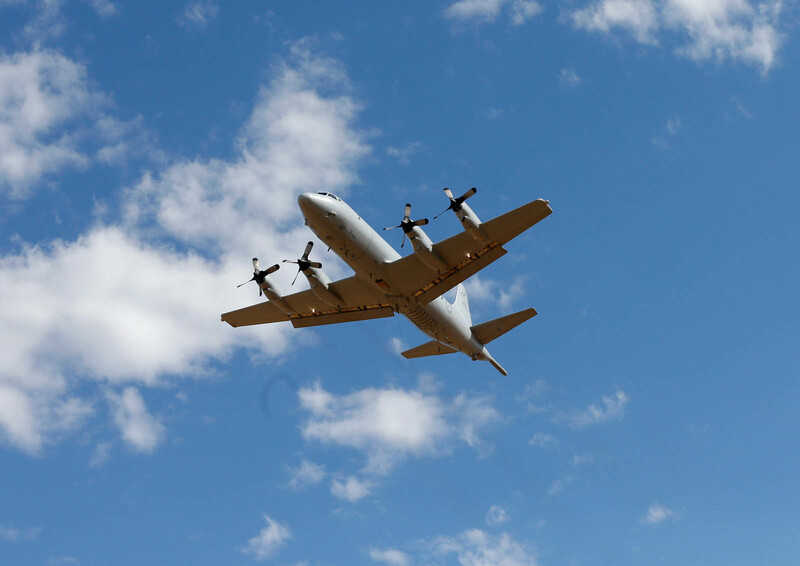 As a result, planes will now be able to spend more time in the search area during their sorties. 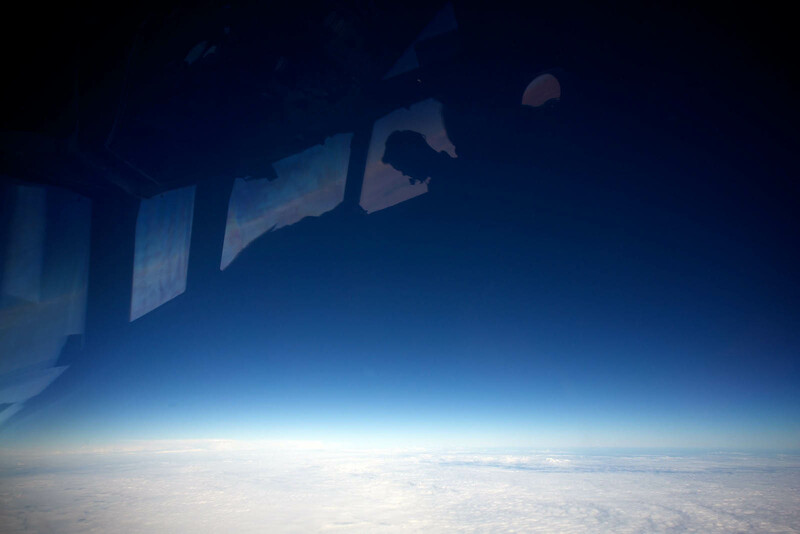 "I'm not sure we'll get perfect weather out there...but it's likely to be better more often than we've seen in the past," said Young. 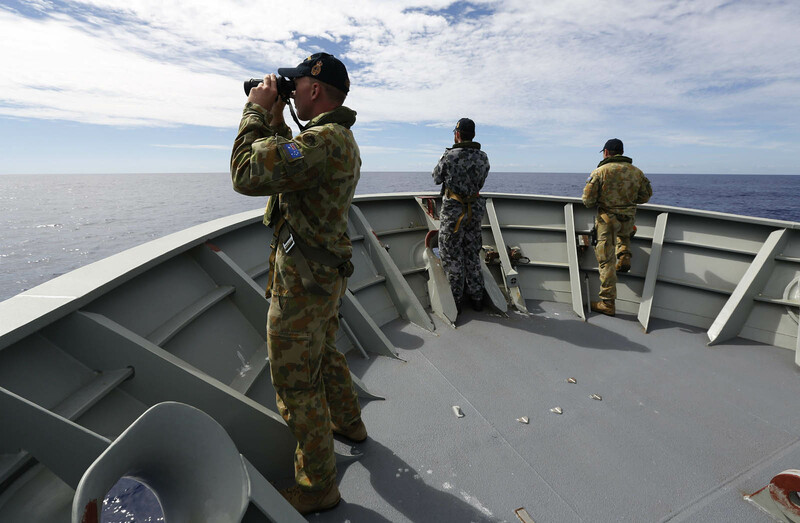 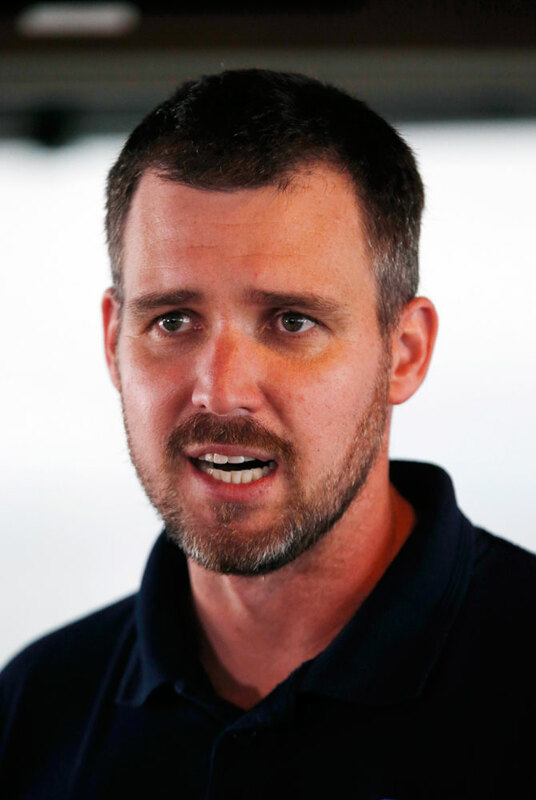 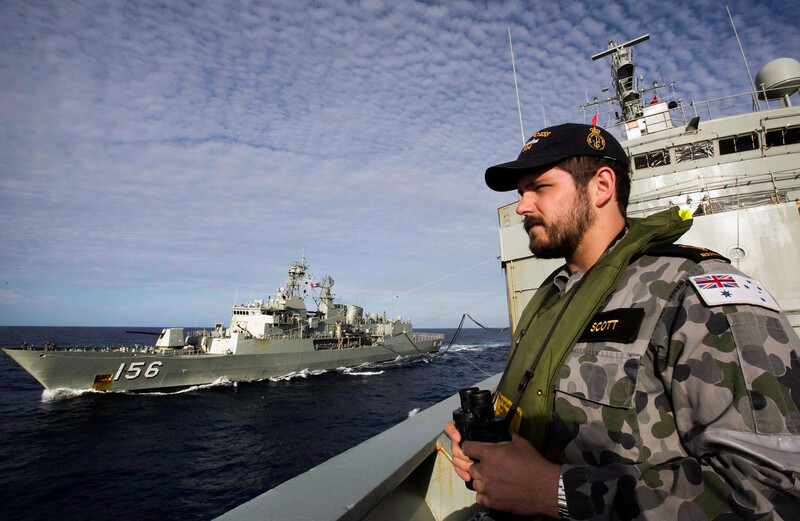 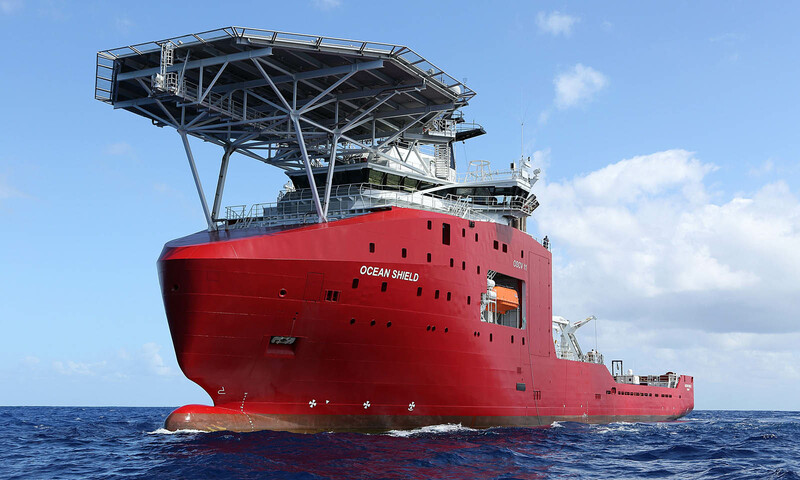 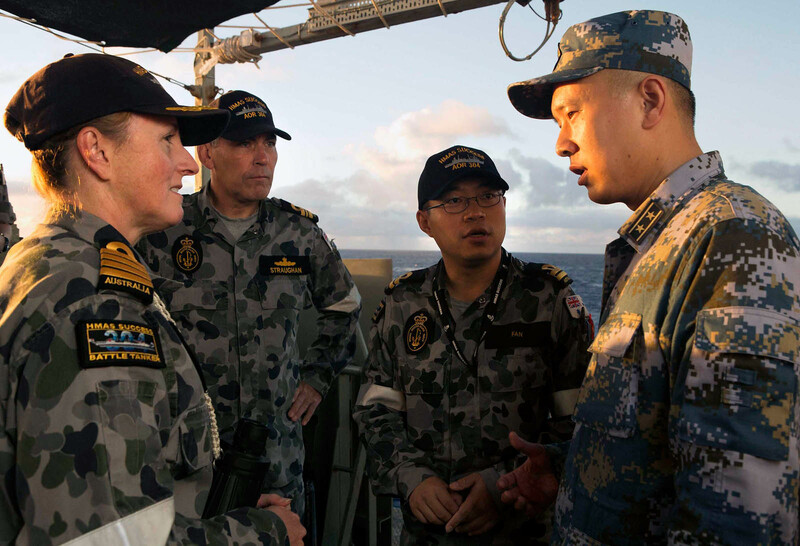 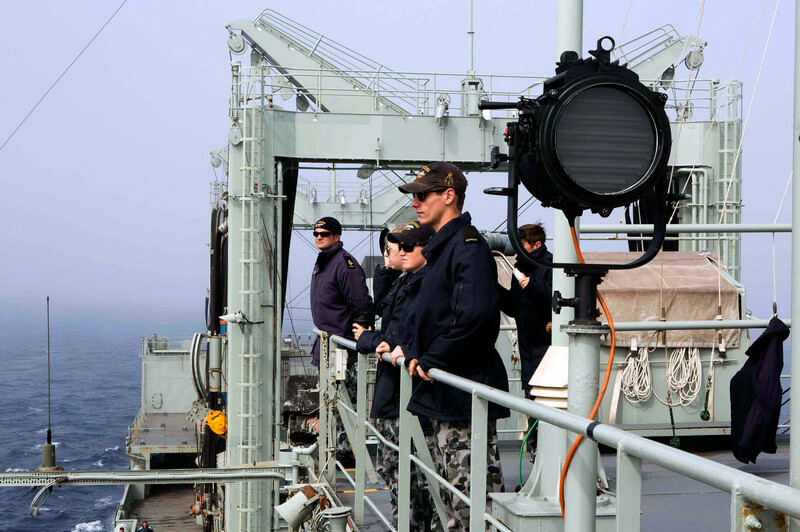 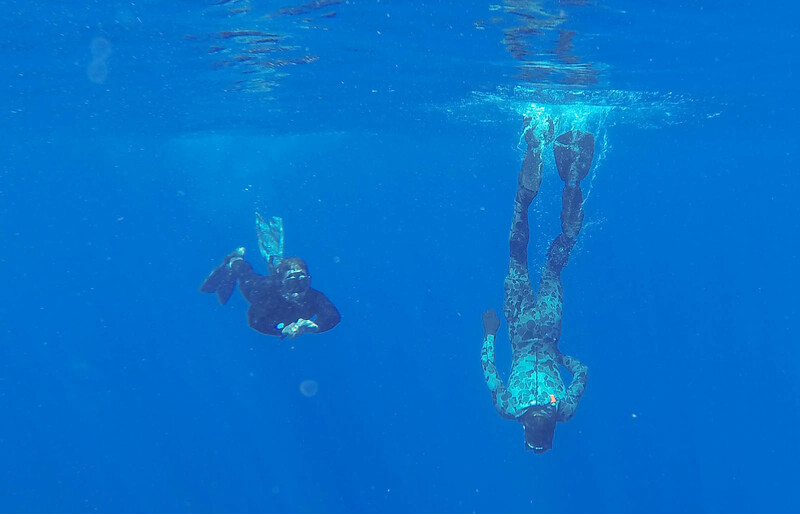 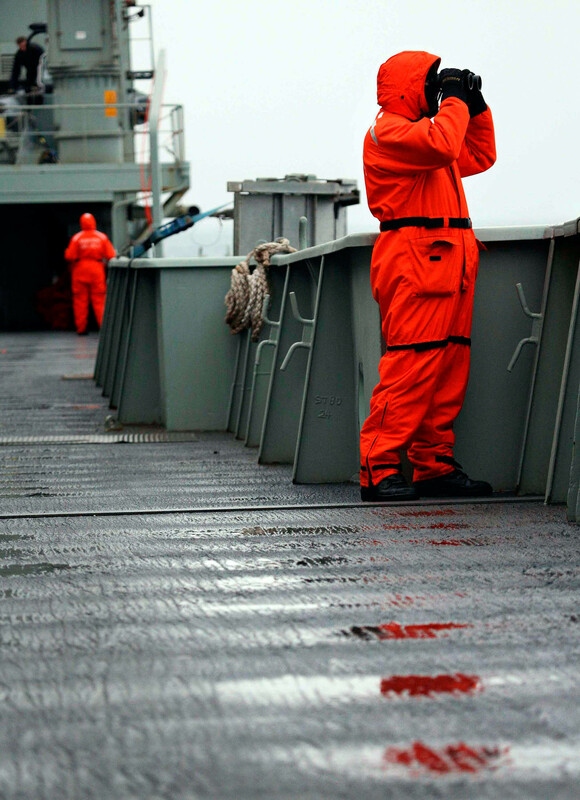 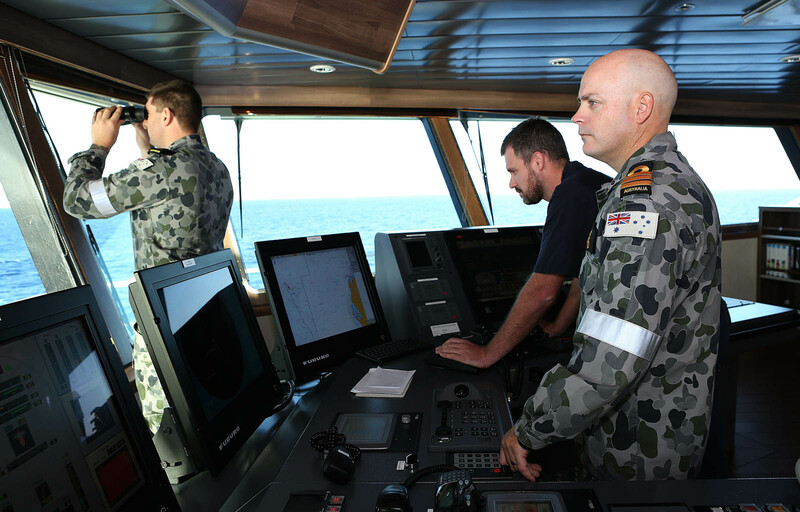 Young said the depth of the water in the new search area was between 2,000m and 4,000m and the Australian vessel HMAS Success would arrive there late on Saturday.